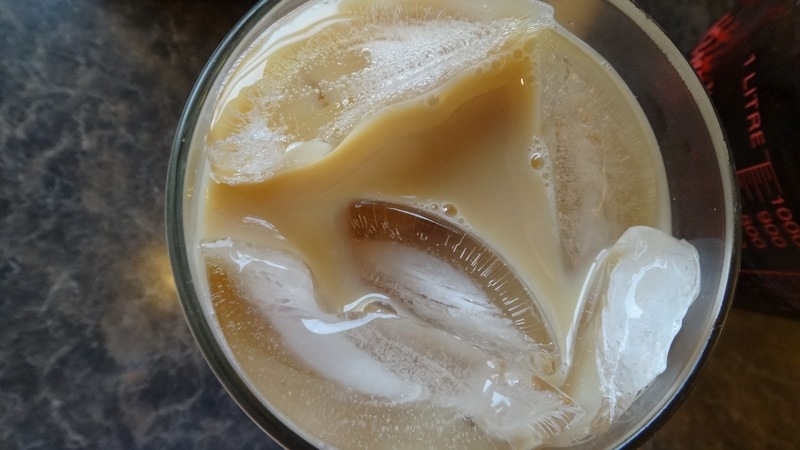 This is a perfect afternoon pick me up drink on a hot day. My brother in law John will love this one! 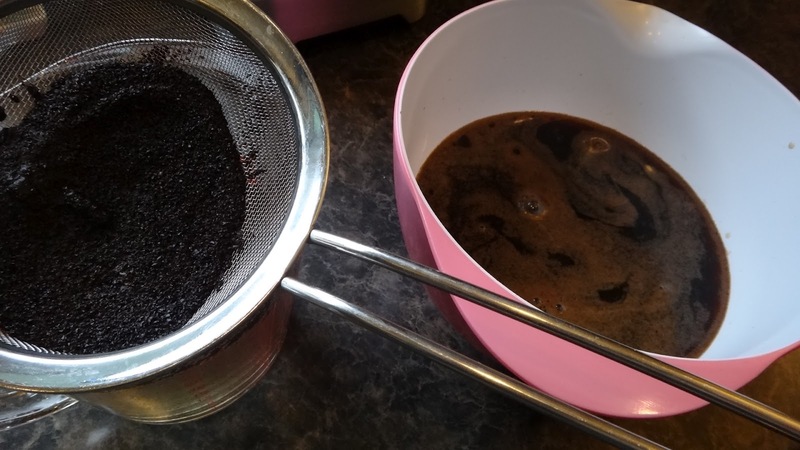 You can just use coffee brewed in a coffee maker cooled down as your base however, I make a cold brewed coffee which has a smoother taste with no bitterness and it can last in your fridge for ages. 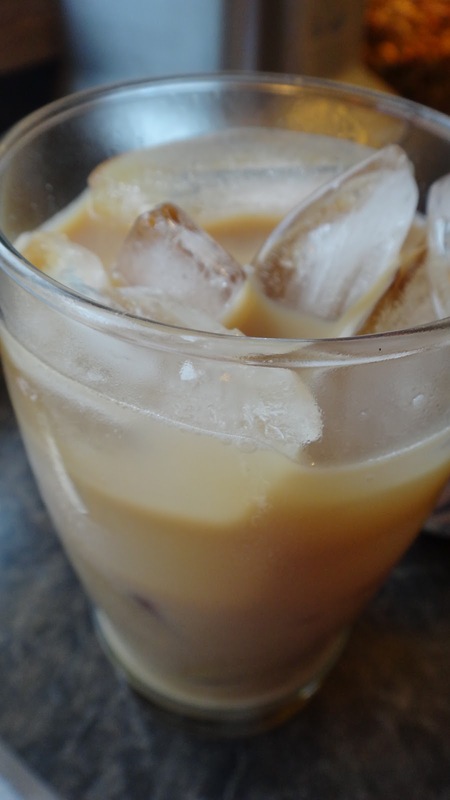 If you have it ready then when you feel like this drink you just add the ice and milk or cream and sweetener. If you wanted to use it with a splash of Bailey’s or Tia Maria now you have a party! 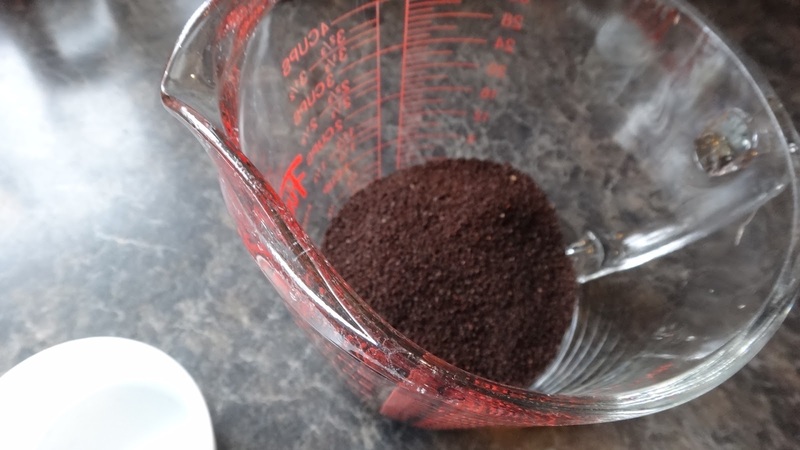 Step 1: take 1/2 cup of ground coffee (you could use 3/4 cup if you like it very strong – John would make it strong!) 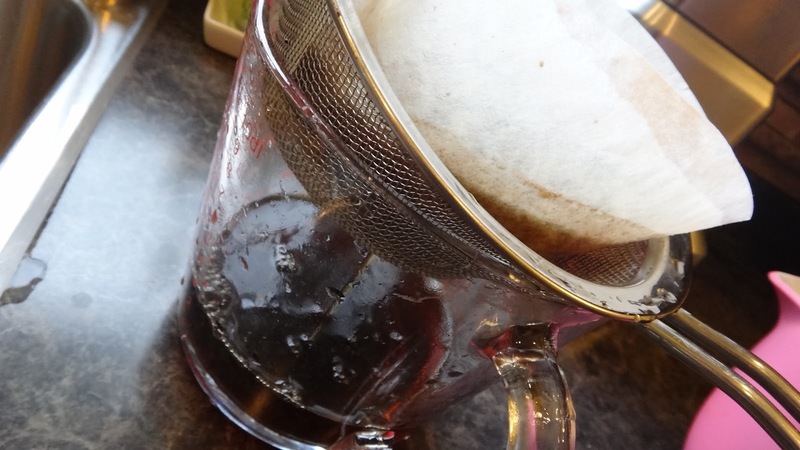 and 4 cups of cold water and mix until all the coffee is wet. Leave 8-10 hours. 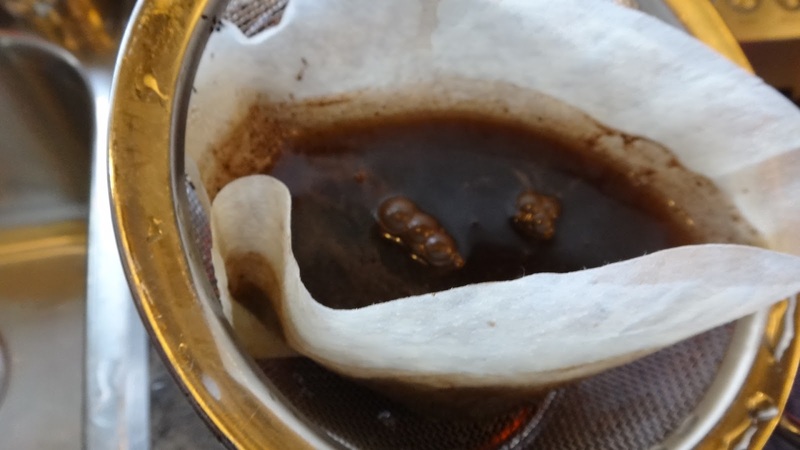 Step 3: strain once again through fine cheesecloth or a coffee filter in your strainer. 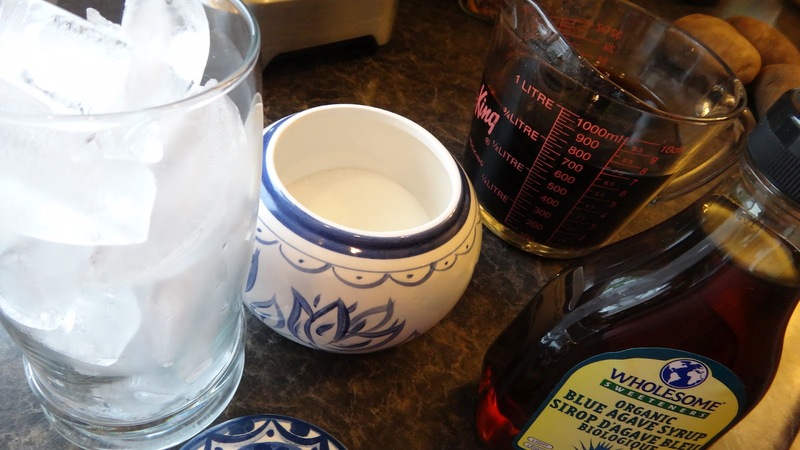 Step 4: now you are ready to make your drink. Take a tall glass and fill it with ice cubes. 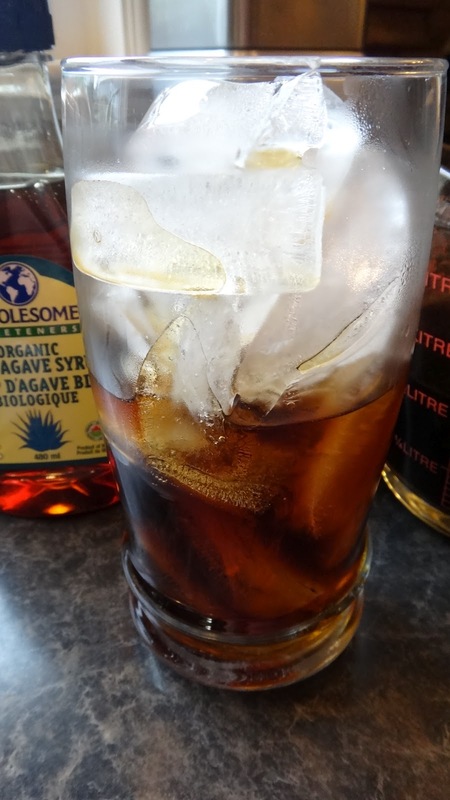 Step 5: I add 2 tbsp agave syrup to the glass. 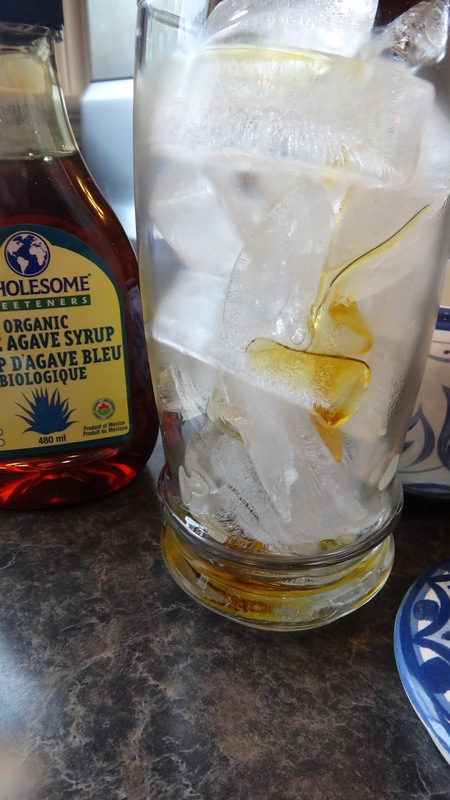 I like agave syrup because it dissolves easier than sugar (you can buy this syrup in the natural section of any grocery store now a days) If you like it sweeter add more. 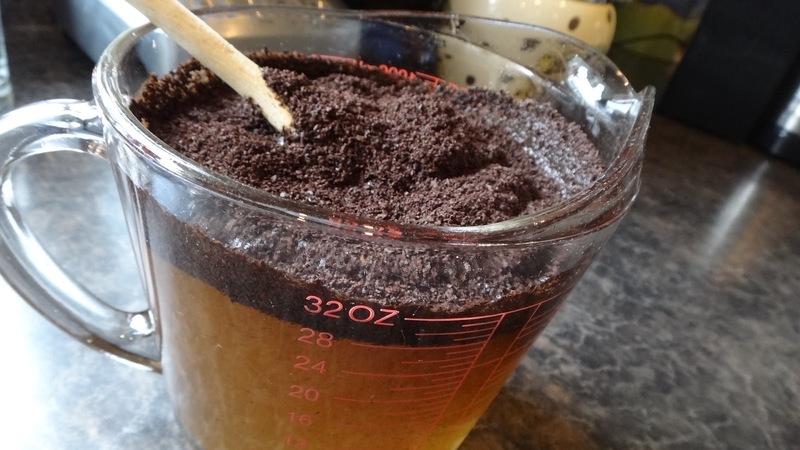 Step 6: fill the glass slightly more than half full of your cold coffee base and stir to mix the syrup. Add milk (I used 1% milk) or almond milk, or half and half if you want it decadent and rich. Put the whole thing in a blender and you have a slushy coffee drink. Add some booze and get the party started. 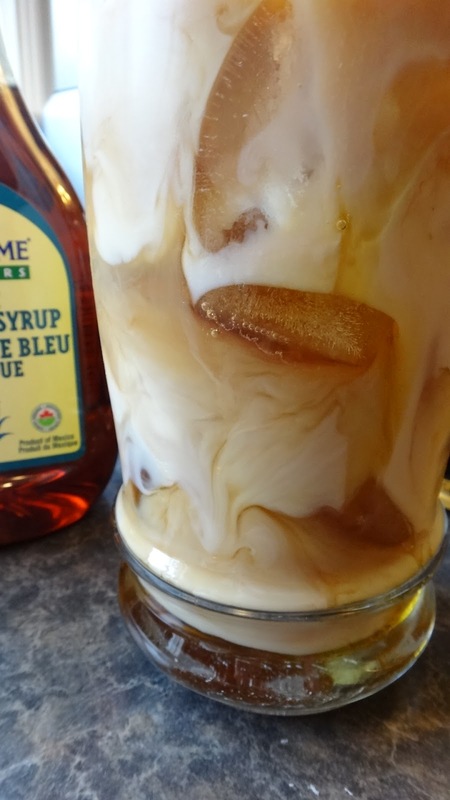 It is smooth and delicious and I promise you once you make this yourself you wont ever feel you need to spend all that money on the store bought ones. 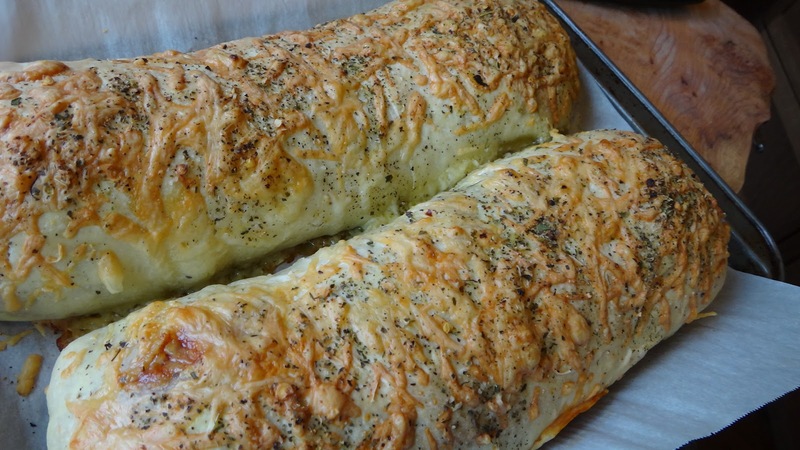 This is an easy baked dinner. 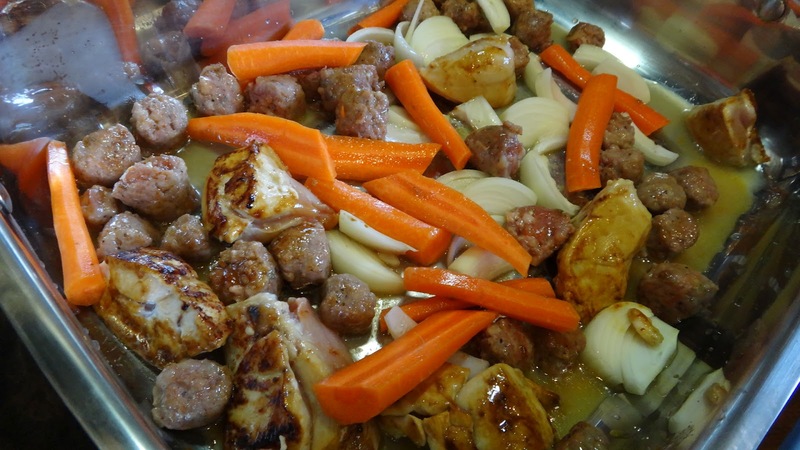 I do brown the chicken and sausages slightly before baking but then I toss in a few vegetables and the whole thing goes in the oven. This is a perfect thing to make when you have lots of vegetables and you want to clean out the fridge. * add any of your favorite vegetables. 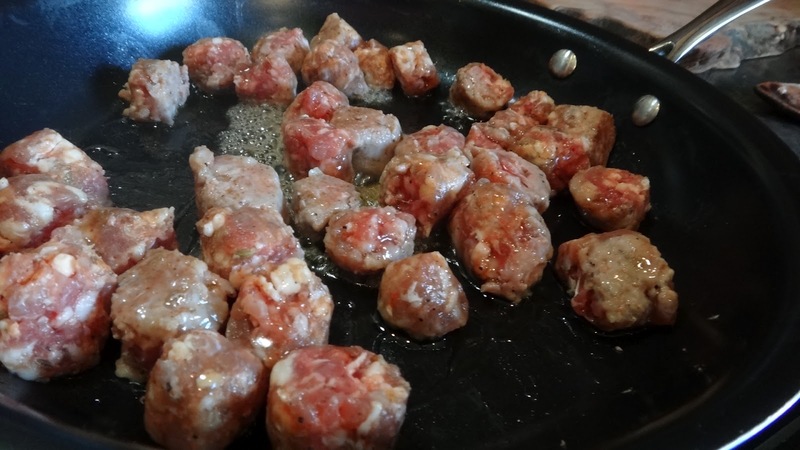 Step 1: I remove the casings from the sausages and saute until the water has evaporated and the meat just starts to brown. Place in roasting pan. Step 2: saute the chicken pieces until just starting to brown. 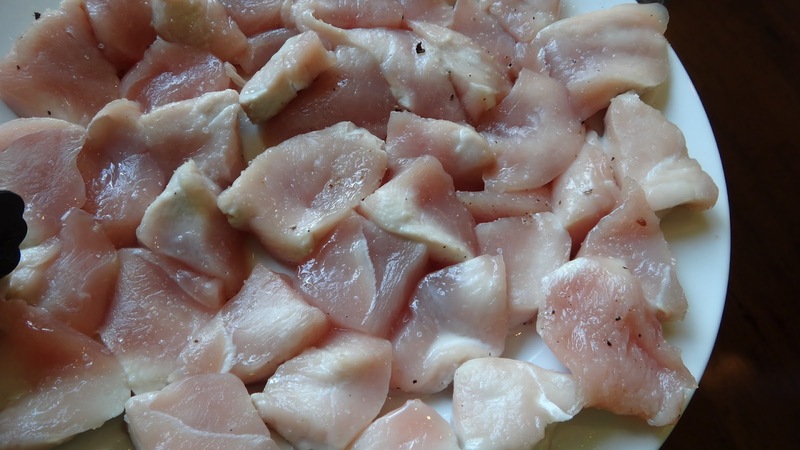 Do not over cook here especially if you are using chicken breasts as they can dry out. Step 3: add peeled carrots, onions, garlic and any other vegetables you like. Sprinkle Italian seasoning, salt and pepper over everything. Drizzle a bit of honey on the items. Add the chicken broth and roast uncovered for 30 minutes until most of the liquid has evaporated and everything starts to brown. You may have to shake the pan once or twice. Step 4: I saute the mushrooms at the last minute before serving but, you could also toss into the bake. 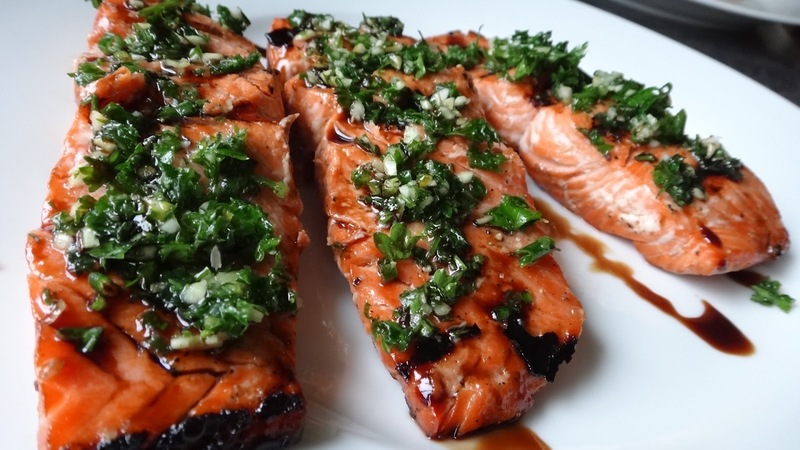 I served with a bit of cilantro or parsley and a drizzle of aged balsamic vinegar. The sweet pairs very nicely with the hot sausages. You can also take the roasted garlic and spread on a chunk of bread or just eat it. 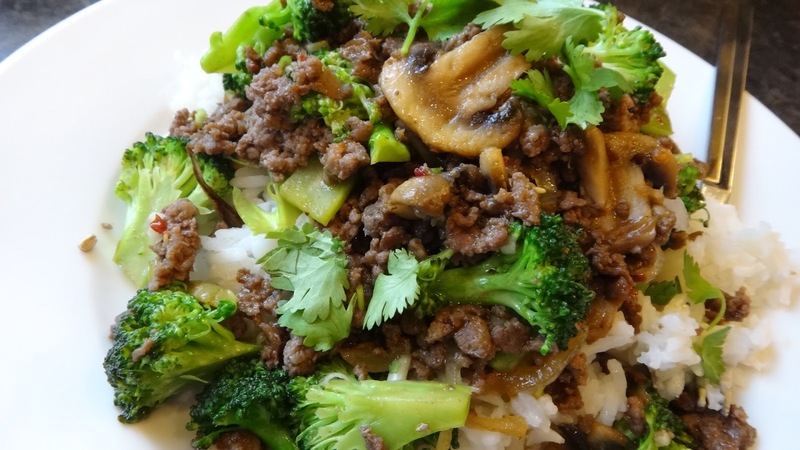 This is a beef and broccoli stir fry made with ground beef instead of sliced beef. Served on plain rice it’s spicy and delicious. Add your favourite vegetables to create something perfect for your family or try it this way. Chopping the vegetables is the only thing that requires effort here. 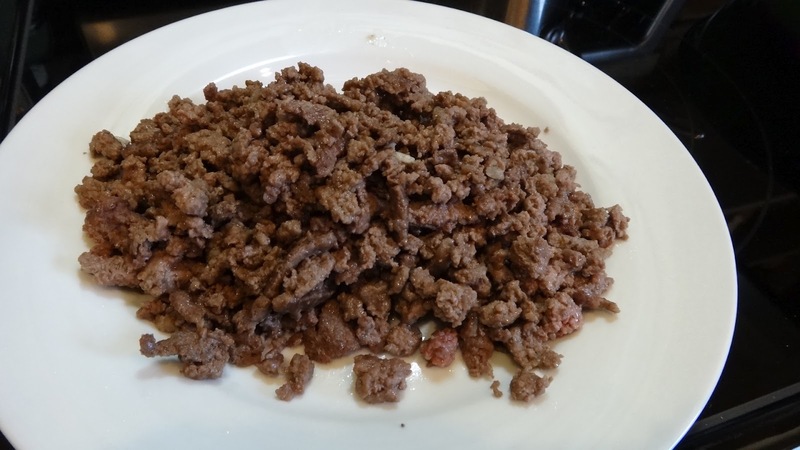 Step 1: brown your ground beef in a saute pan. Remove. Step 2: in a small bowl add all your ingredients for sauce. Set aside. 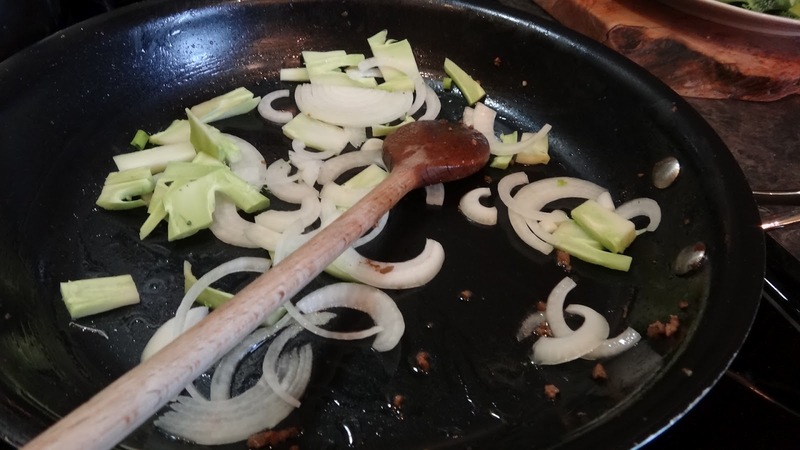 Step 3: on high heat, saute your onions and the sliced stalk if you are using it. Step 4: add your mushrooms and broccoli and saute for a few minutes. 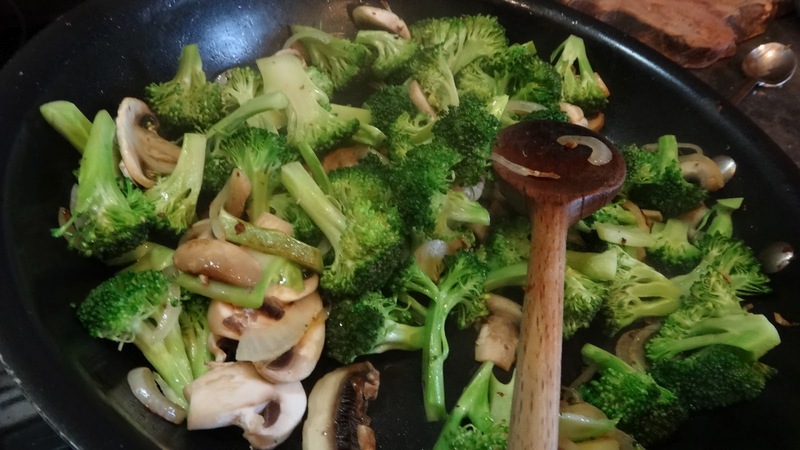 Add the water to steam the broccoli and you can put on lid of pan for 1 minute. 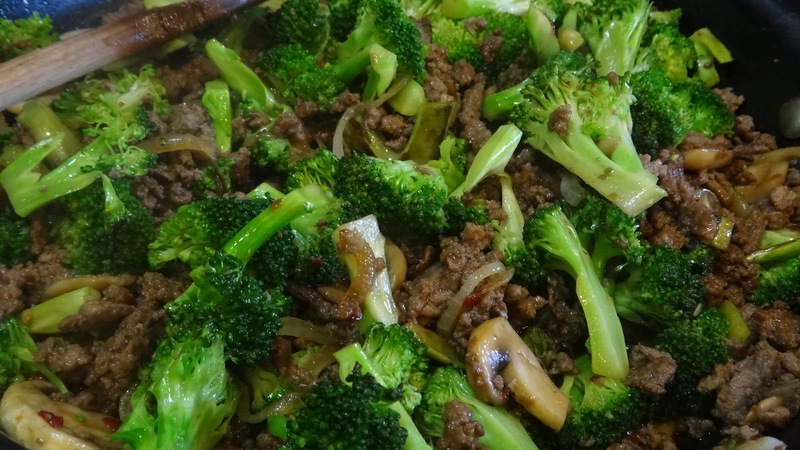 Once you have steamed the broccoli continue the rest of the cooking with the lid off. Step 5: add back the meat and continue cooking another minute or two. At the last minute add your sauce and cook another minute or two. 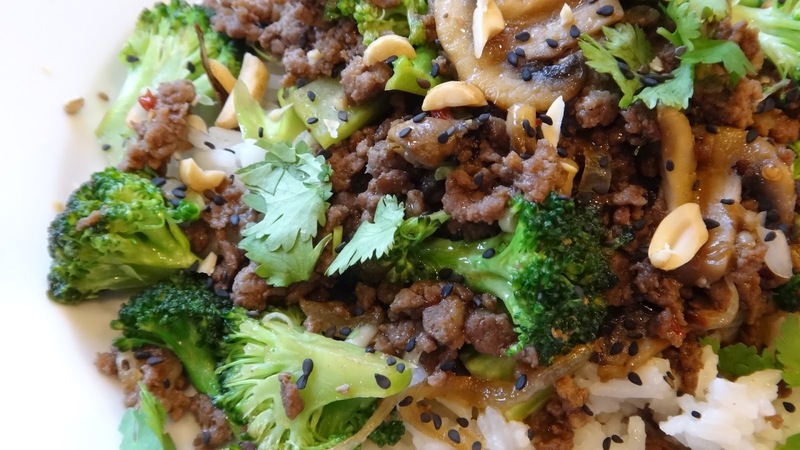 Serve over plain rice and top with chopped cilantro, some peanuts or sesame seeds or all of them. I like to cook with turkey tenders. They are cost effective and they come in generous portion packages. 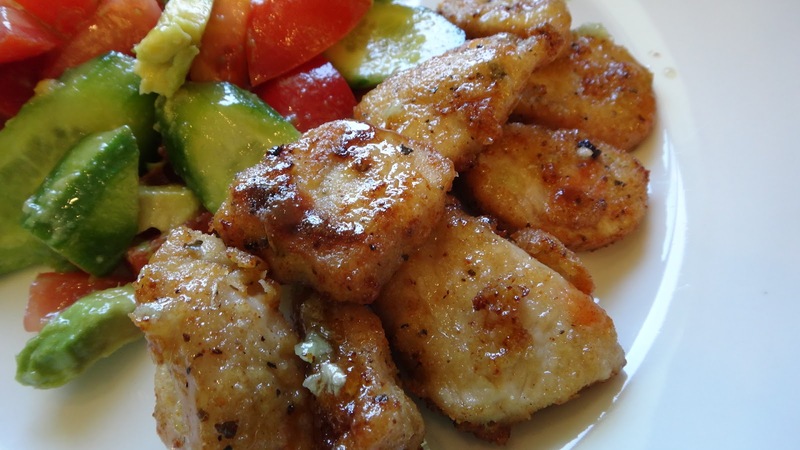 I have made some honey garlic turkey nuggets in this recipe. 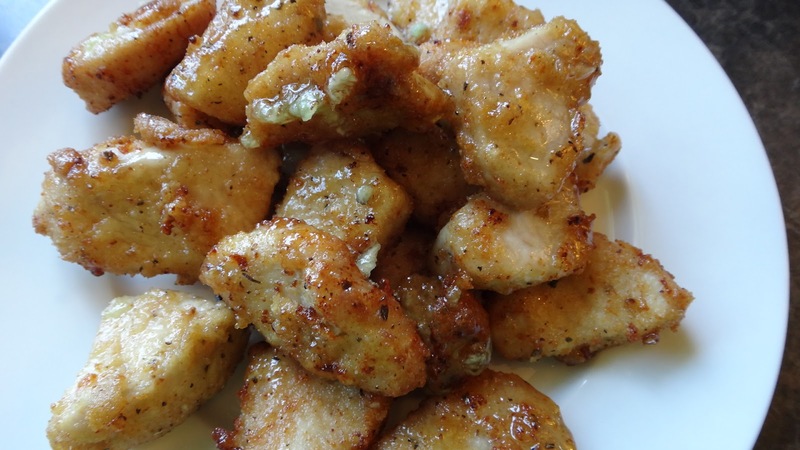 They are partially cooked in the microwave and then quickly fried, then tossed in a sticky coating. 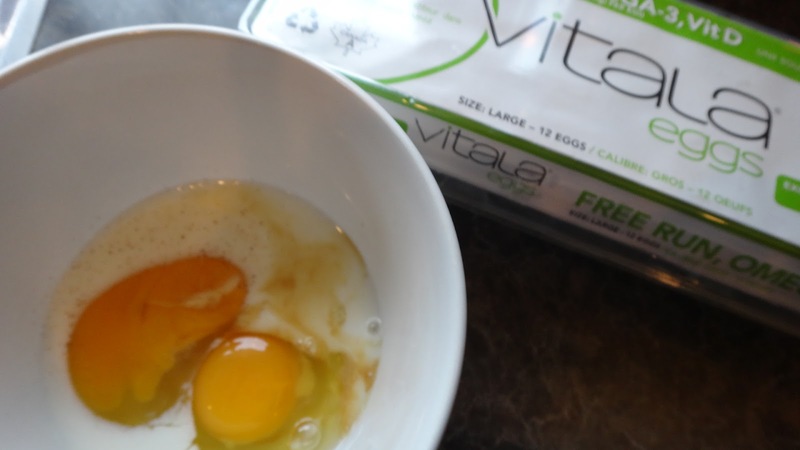 They can be partially fried and finished in the oven if you want to prepare them the day before serving. 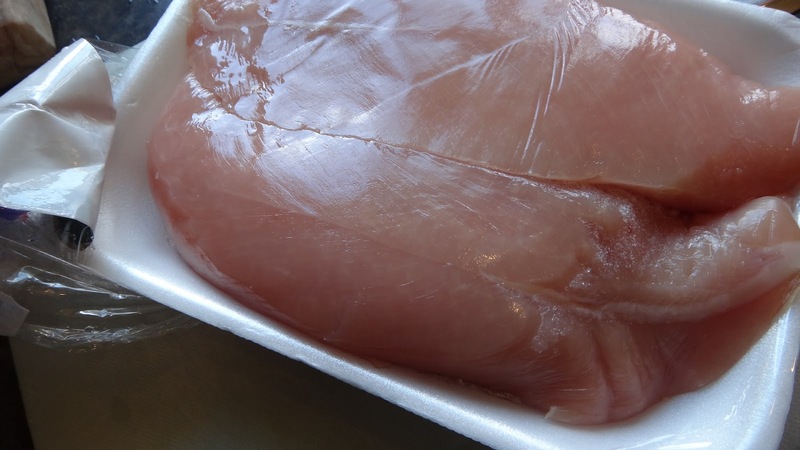 Step 1: I start with a nice quality turkey tender. In my meat market they sell 2 in a package. 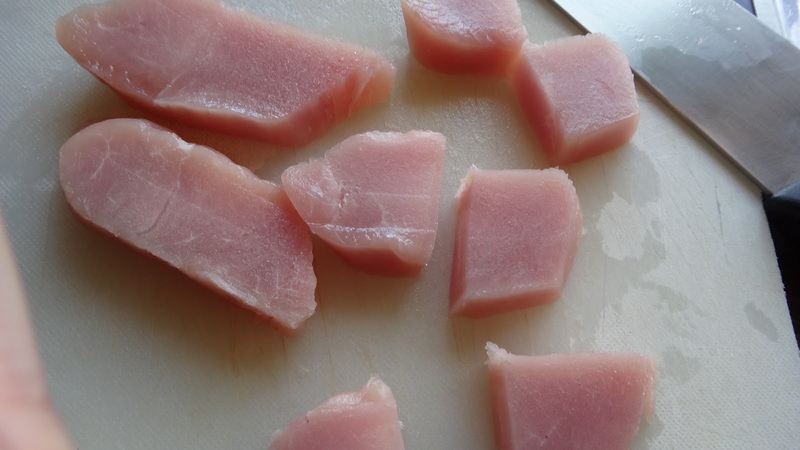 Step 2: I find it easy to cut into chunks when the meat is partially frozen. Sprinkle with salt, pepper and granulated garlic. Step 3: on a large plate microwave the meat for 1 minute. Flip the meat and bring the outside pieces to the inside so they cook evenly. Cook for another 1 minute. 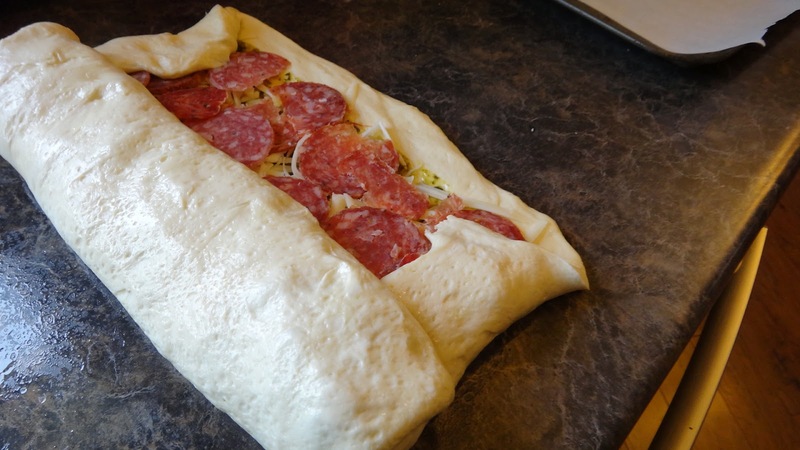 If you have any pieces that still have not turned mostly an opaque partially cooked. Then cook a further 30 seconds. Let turkey cool. Step 4: toss the partially cooked turkey in mustard to coat. 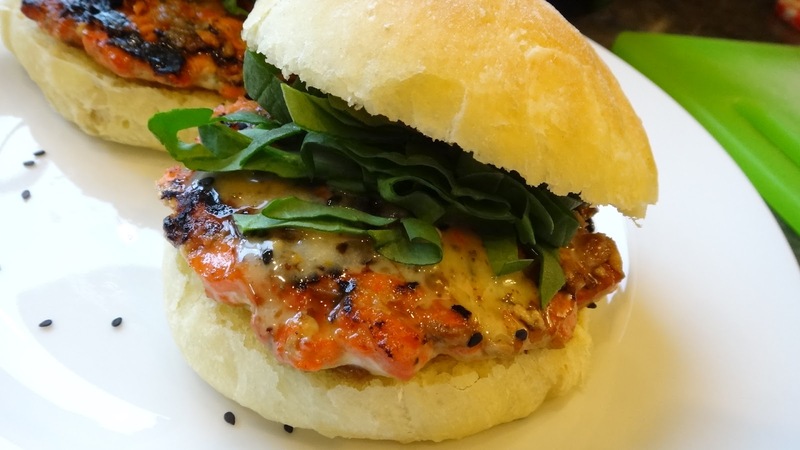 I have used a spicy horseradish mustard and a hot mustard combination. Step 5: in a bowl mix flour and semolina or cornmeal and lots of spices. 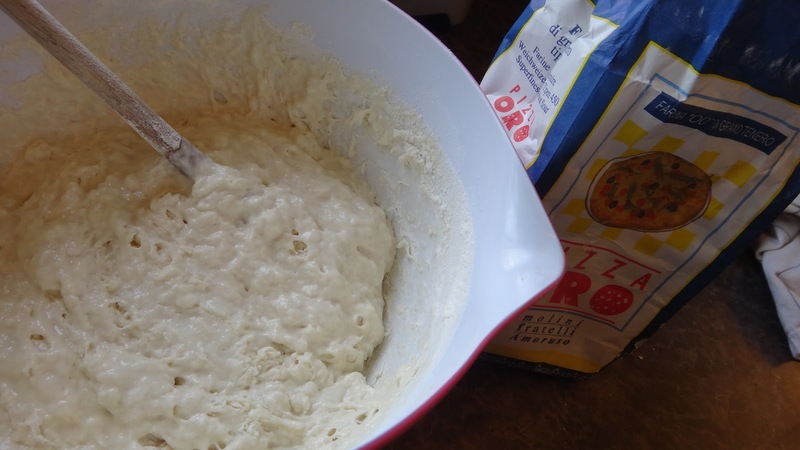 You add more than you think you should in order to make a tasty breading. 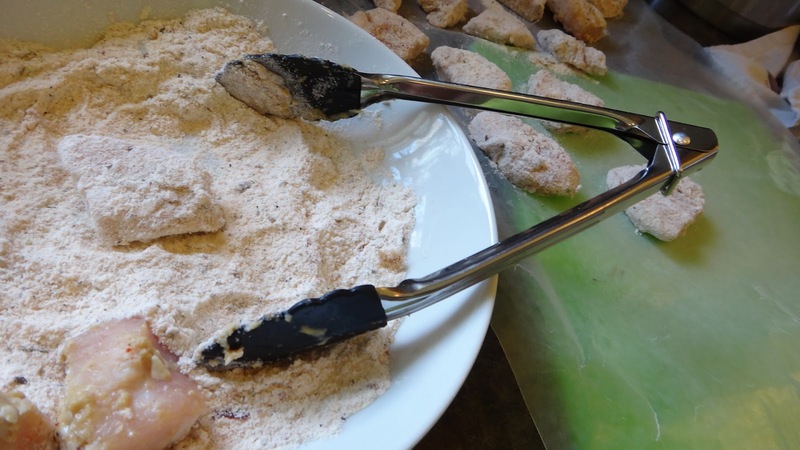 Step 6: I use tongs to toss each piece of meat in flour. Step 7: heat oil to 375 degrees F and fry turkey until browned. 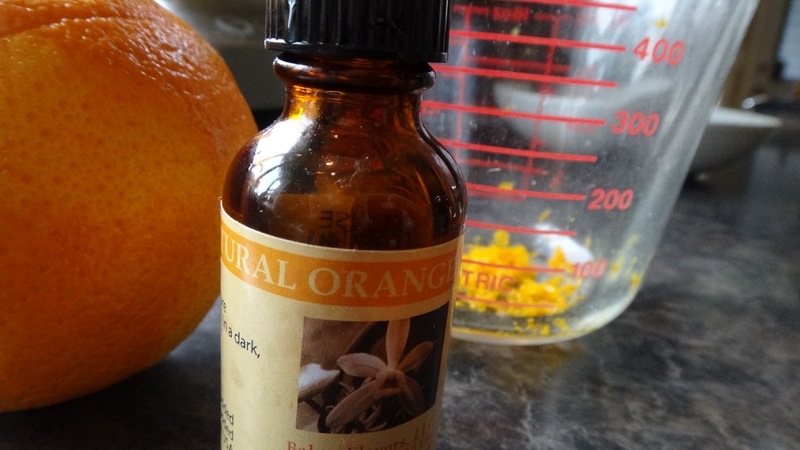 I like to use grape seed oil but you can use canola or peanut. 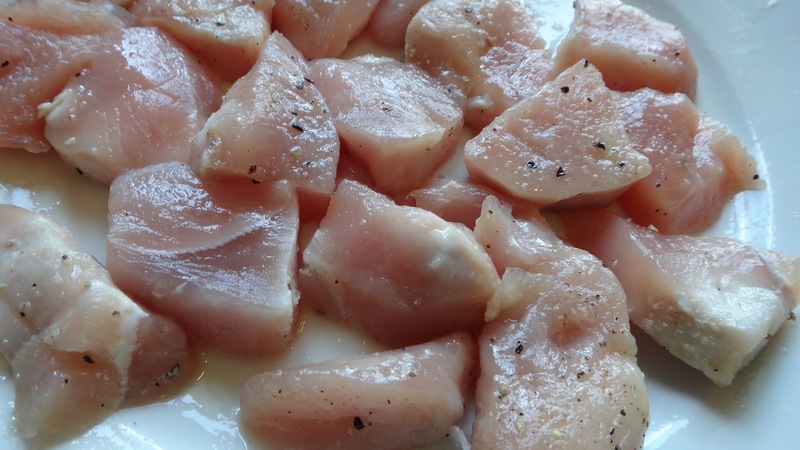 You will not have to cook them long since you have partially cooked your meat. Remove to paper towels to remove excess oil. 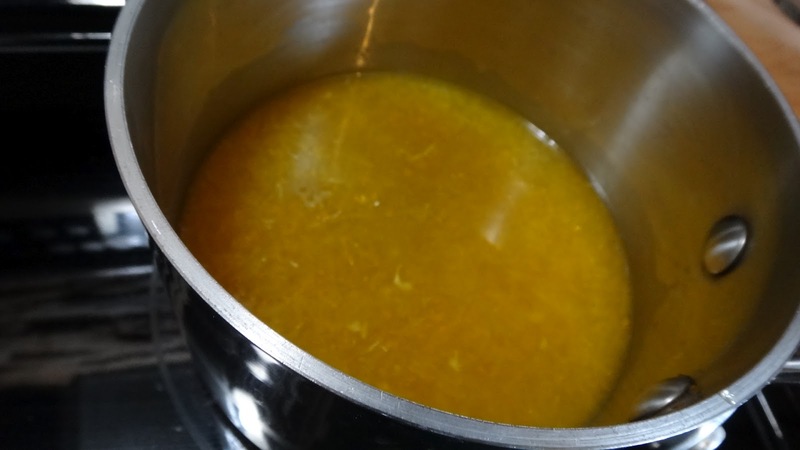 Step 8: in a small saucepan heat honey, garlic and orange marmalade. 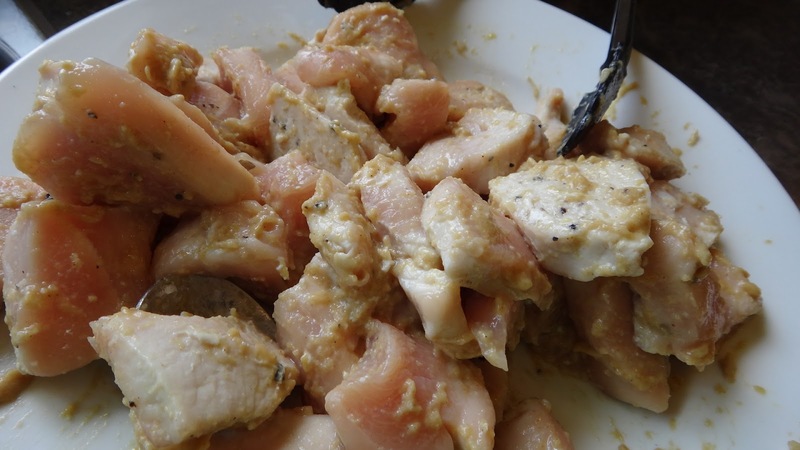 This will make it runny and easy to toss the chunks in. Sprinkle with salt and pepper and serve with a salad. 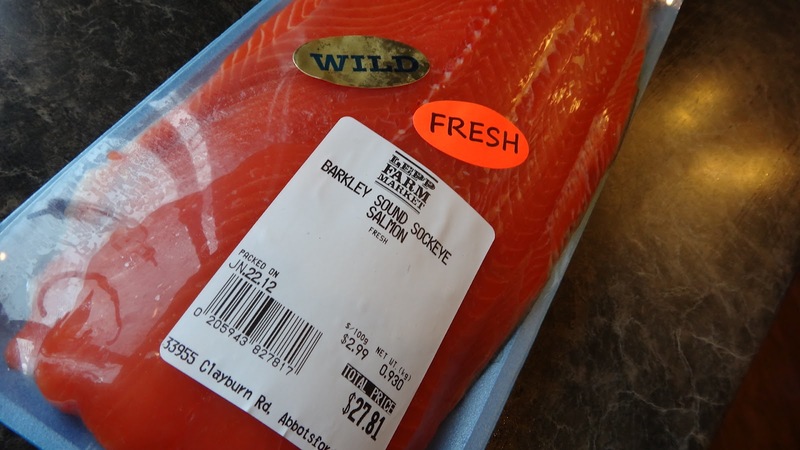 I love Salmon and it is just such a beautiful product in British Columbia. It’s never cheap if you buy the wild variety but, it is just so gorgeous and requires very little fussing. Step 1: start with a nice piece of fish. 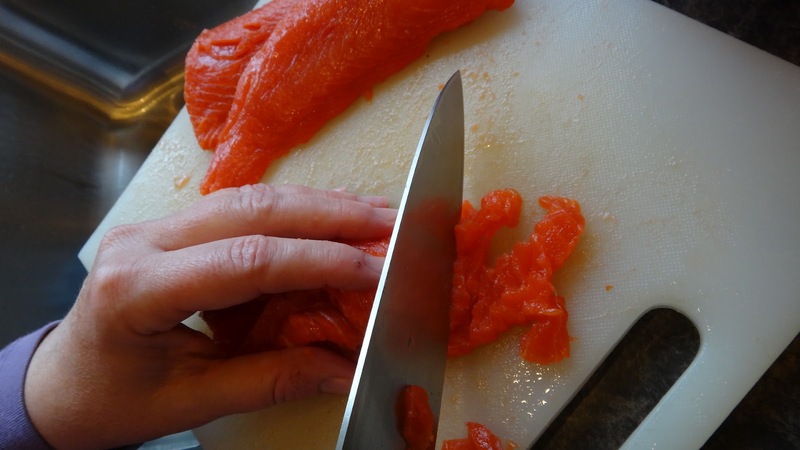 Slice into portions and make sure there are no bones by running your hands along the top of the fish and removing any with pliers or tweezers. Step 2: I have sliced 3 pieces for two people. I sprinkled some brown sugar and salt all over top and covered with plastic wrap. Leave in fridge for 5-6 hours. 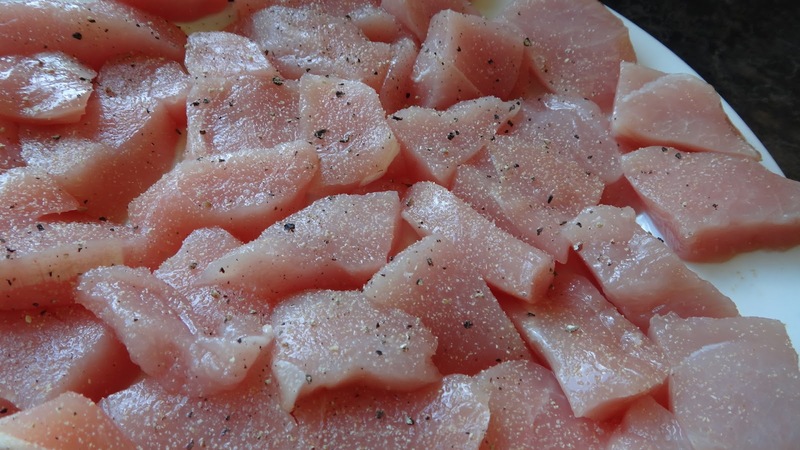 Since I have not used a lot of salt I do not rinse the fish before grilling. 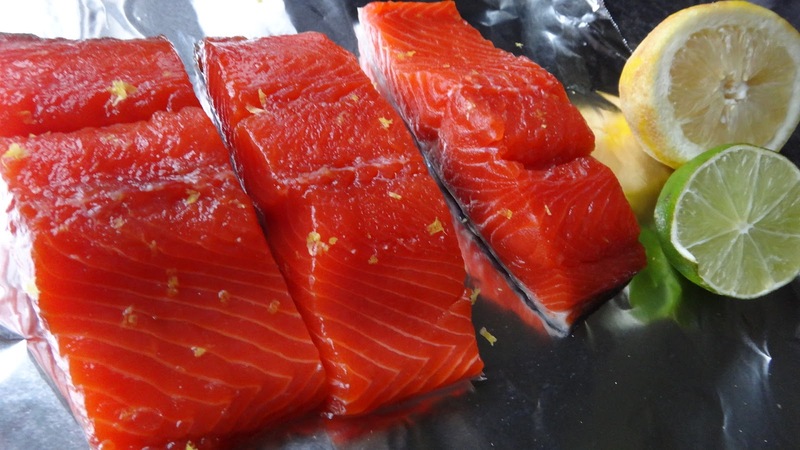 Step 3: Put slices on a piece of foil skin side down, which will go directly on your grill. This is a good way to remove the skin after it has cooked one side of your fish. I have used a bit of lemon zest on top of fish. Step 4: to make your gremolata simply finely chop your parsley, chives, garlic, olive oil and lemon zest. Step 5: while grilling your fish squeeze fresh lemon and lime over fish. 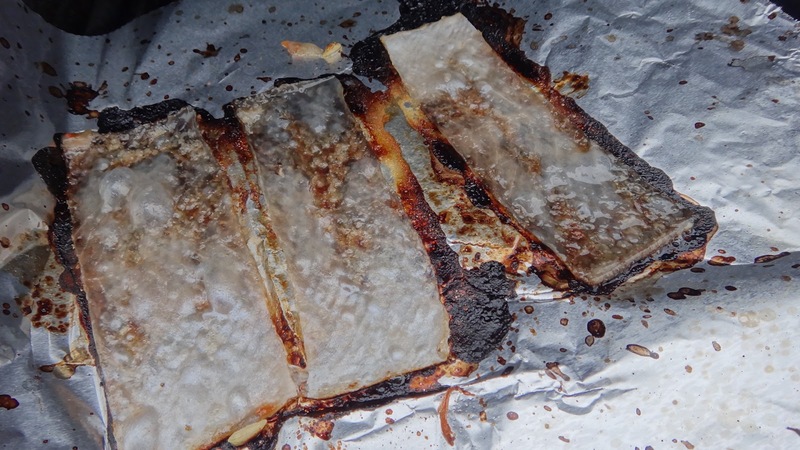 Grill your fish on a medium grill and once you need to flip it you can slide a spatula under the skin and it will be left on the foil. 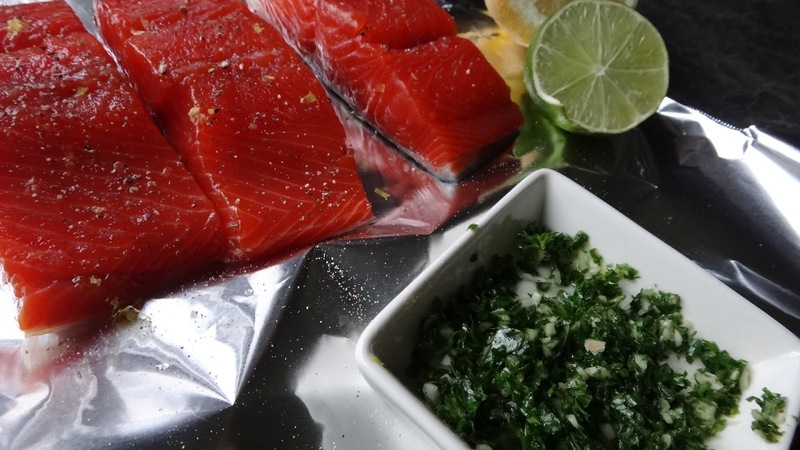 If you want to eat it then grill it and keep it attached to the fish. I don’t like the heads or skin left on fish so I remove it. (don’t even get me started on Picky Pete!) This fish only takes a few minutes to cook. 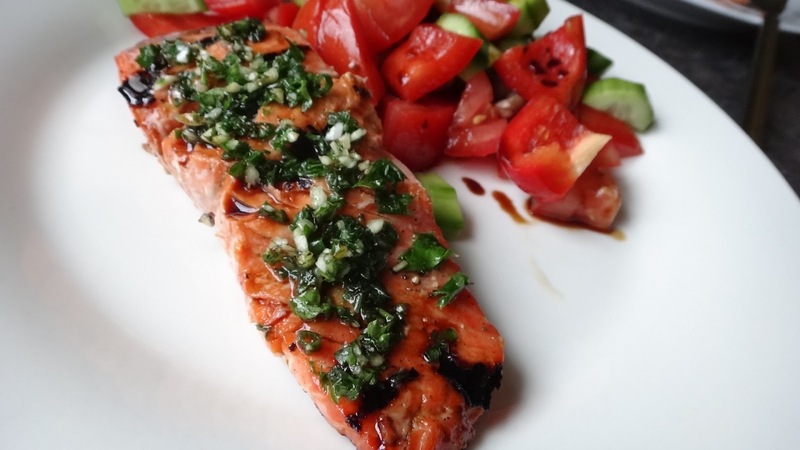 Remove and serve topped with your parsley gremolata, a bit of salt and pepper and a drizzle of your best balsamic vinegar along with a nice salad. 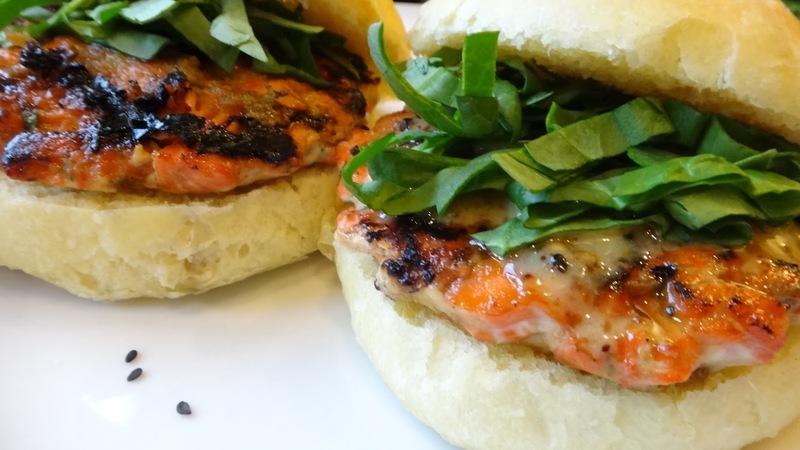 These are gorgeous salmon burgers made simply by cutting fresh salmon into chunks and grilling quickly. 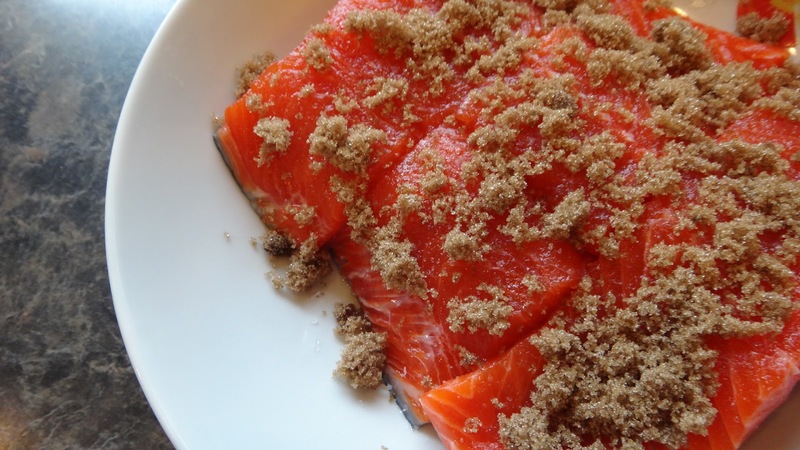 Step 1: start with a nice chunk of salmon. 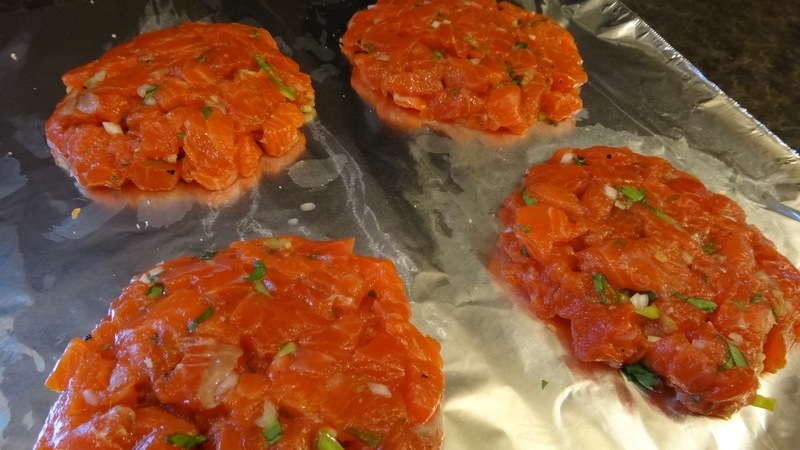 I used the centre portion of this side of salmon for another meal and the rest for the burgers. I made 4 burgers however, you could certainly make 6-8 with the entire fish portion I have here. Step 2: I have removed the skin and brown layer right beside the skin and chopped into small chunks. 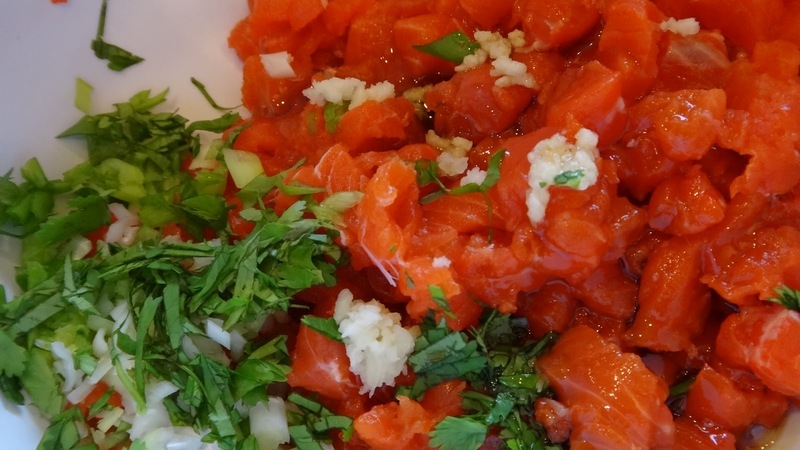 Step 3: add all remaining ingredients with fish into a bowl. You may think that the mixture will never hold together but, it will. 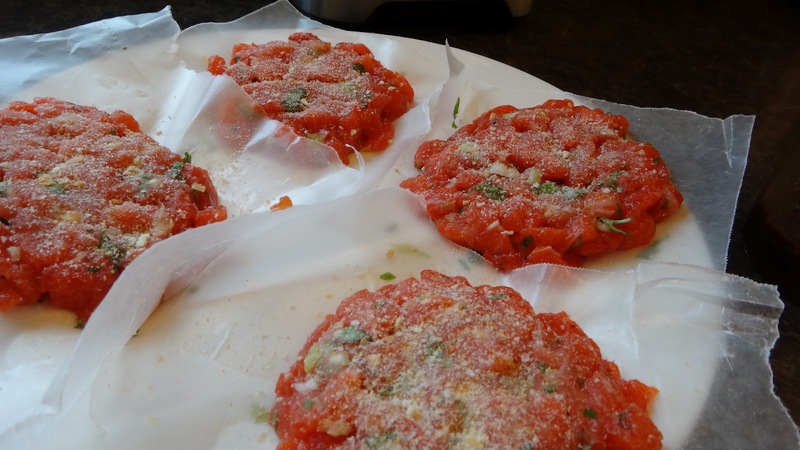 Step 4: Gently form your patties and pat the top with a thin layer of breadcrumbs. 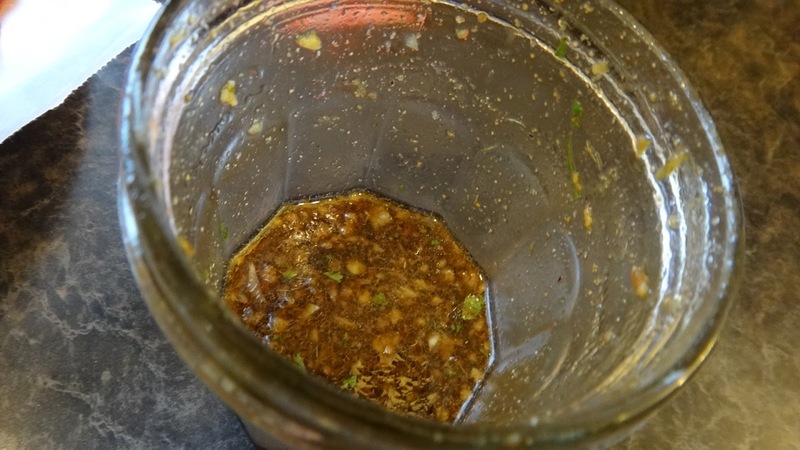 Step 5: in a small jar I add all ingredients for basting sauce and shake to mix. Step 6: I start grilling the burgers on a piece of foil that I place directly on a hot grill. This helps the delicate meat stay together once you flip the burgers they will have cooked enough to form a patty and I place the burger directly on the grill. Once I flip them I can throw away the foil. I just need it for grilling the first side. These cook quickly just a few minutes on each side will ensure this beautiful fish stays moist. I top the burgers with the sweet drizzle and some spinach. 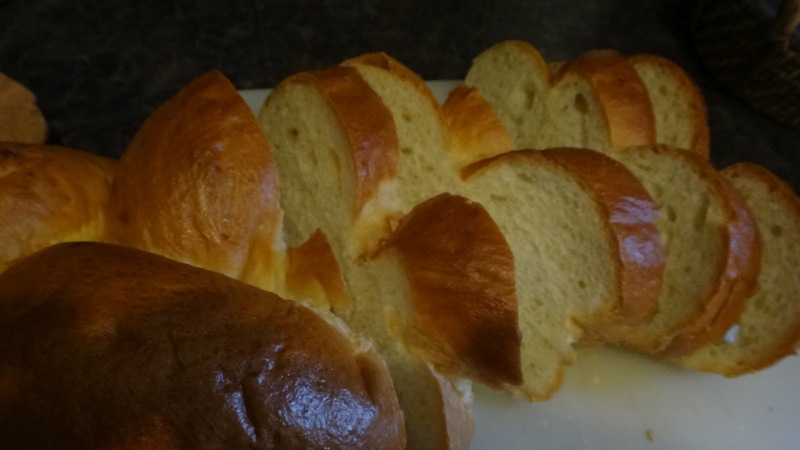 I have made some fresh brioche buns that are soft and squishy and the buttery rich bread complements the rich fish. Sunday Breakfast! 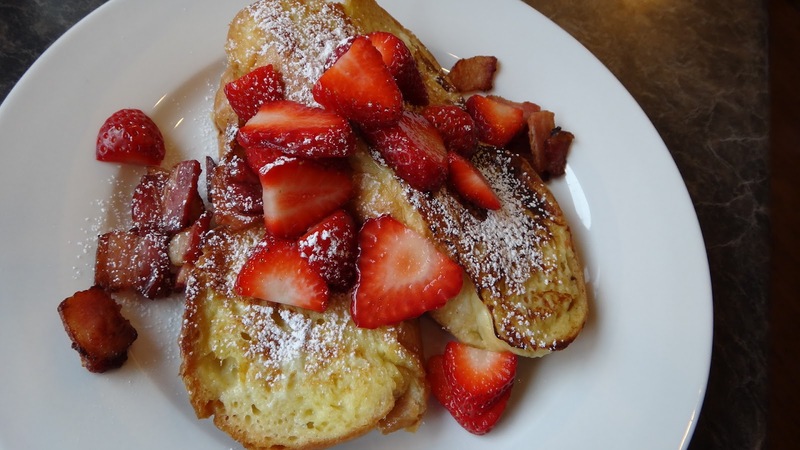 Challah bread french toast with fresh strawberries and bacon bits. Slathered with yummy real maple syrup and some powdered sugar. Step 1: slice your bacon and fry on medium to get nice crispy bacon chunks. Drain on paper towels. 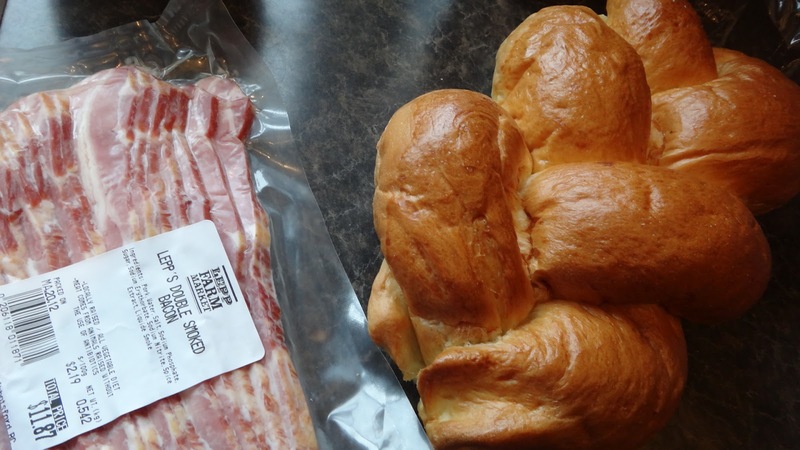 This is the place where you buy and make great quality bacon and a nice loaf of sweet egg bread. 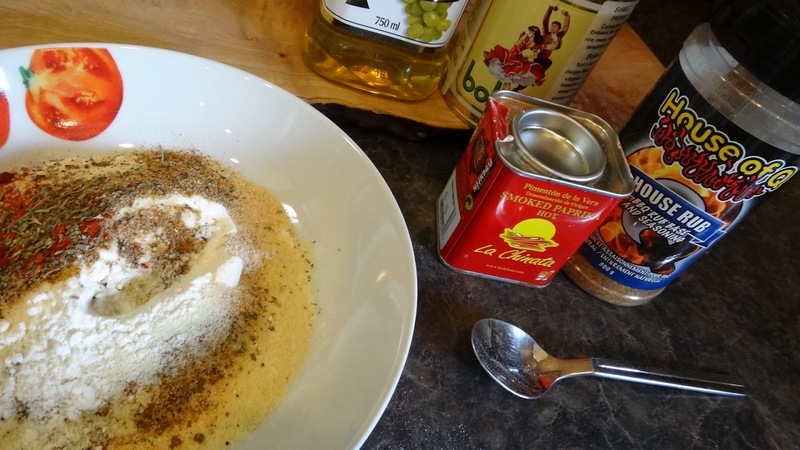 Step 2: in a bowl whisk eggs, milk, vanilla sugar and cinnamon. Step 3: slice some bread. 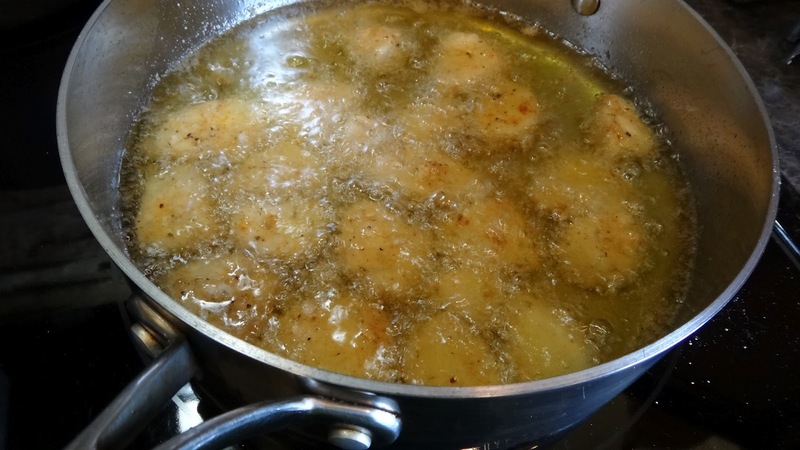 Coat both sides in egg mixture and fry in butter on medium heat until both sides are golden browned and gorgeous. 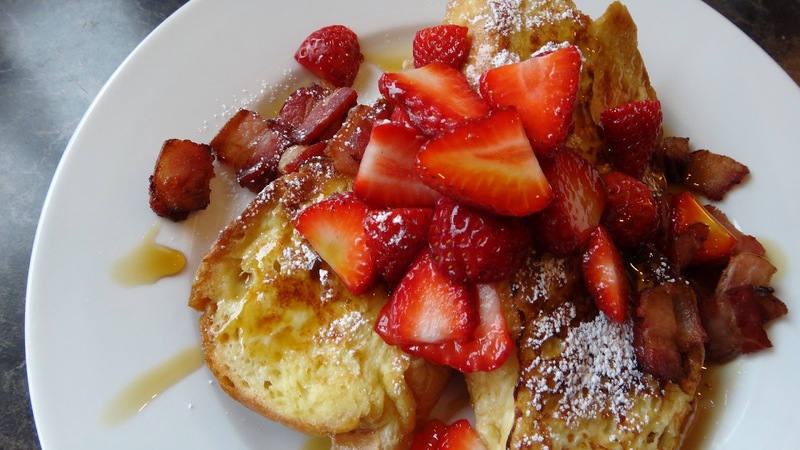 Serve with your crumbled bacon bits, slices of gorgeous berries and powdered sugar. 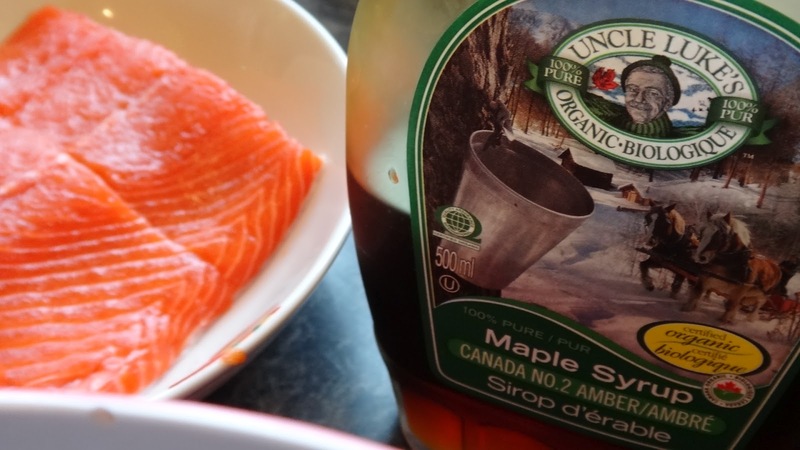 Then pour on the sweet maple syrup and enjoy with a steaming mug of coffee. What could be nicer! This is my kind of perfect breakfast. 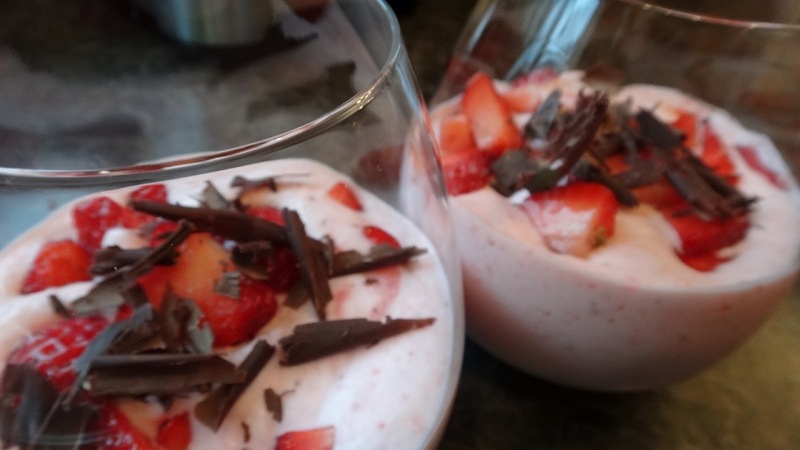 This is a simple strawberry mousse and you can use frozen berries for the mousse and then the freshest beauties for the topping. It is essentially whipped cream and berries how can that be bad! Step 2: take 1/2 cup of the puree and put in small saucepan. Add the gelatin to the top of the fruit and stir. Leave 5 minutes to absorb into the fruit. Heat the fruit and gelatin until just comes to a boil and stir to make sure gelatin is melted. Let cool 5 minutes. 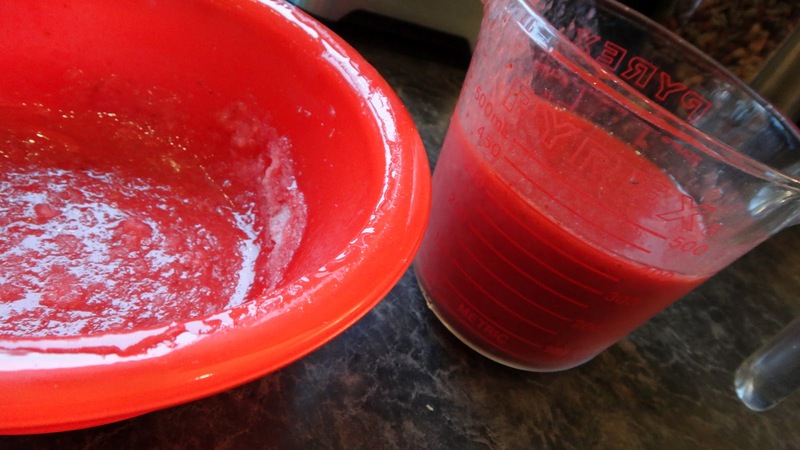 Step 3: add the cooled fruit to the rest of the strawberry puree and mix well. Step 4: in another bowl whip whipping cream, sugar, vanilla and powdered milk. Whip to stiff peaks. 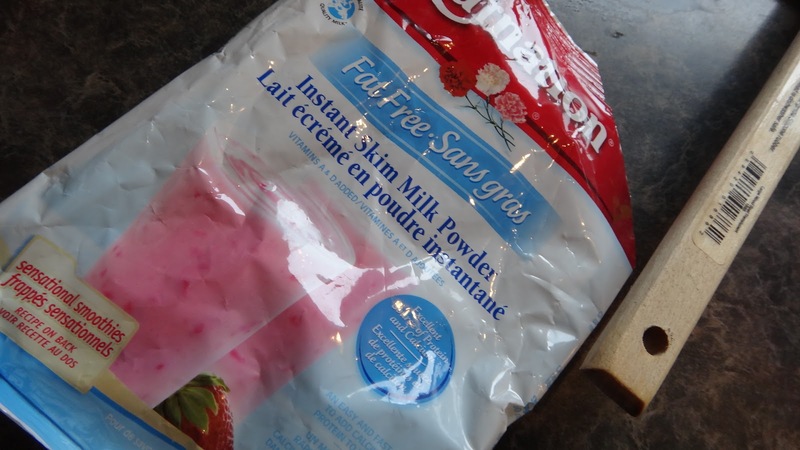 Fold the whipping cream into the strawberry puree until blended. 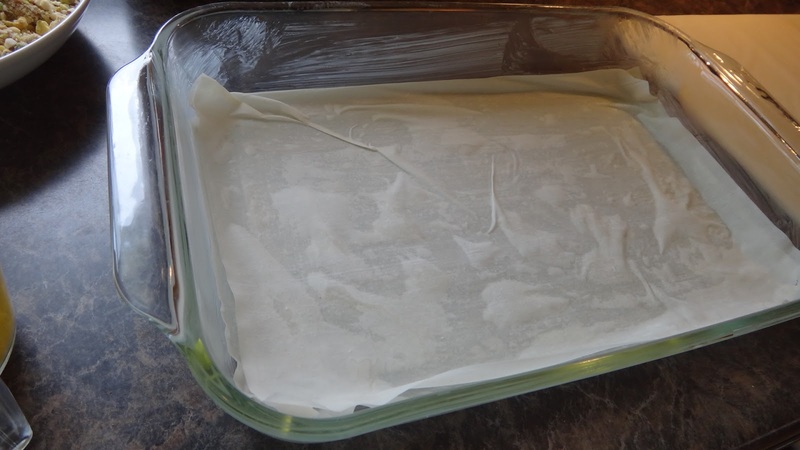 The powdered milk helps to stabilize the cream. It is not necessary if you don’t have it but, if you ever need whipping cream to stay whipped for a longer period of time this tip will help. Step 5: slice your best quality strawberries and mix with sugar and leave 10 minutes. 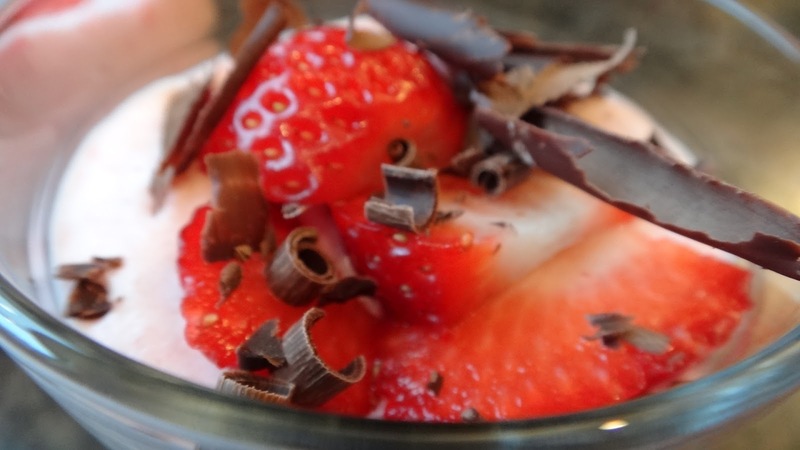 Spoon some cloud in the bottom of a nice glass, add fruit, more cloud top with fruit and some chocolate curls. Leave in fridge at least 2 hours to set. This is not a dessert that is better the next day. I suggest you eat it the day you make it. The other day Big Pete asked me to make my Baklava for him. He is normally a chocolate cake or cookie man but, the Greek side of him was craving this Baklava. I have had other people beg me for this baklava. It’s got a wonderful sweet orange flavour which complements the pistachio and almond flavour. This is a show stopper people will be shocked at how good it is and that you actually made it from scratch. Try it once and I promise you will make it again. 1 stick (=1/2 cup) unsalted butter-melted with 1/4 cup olive oil added to it. 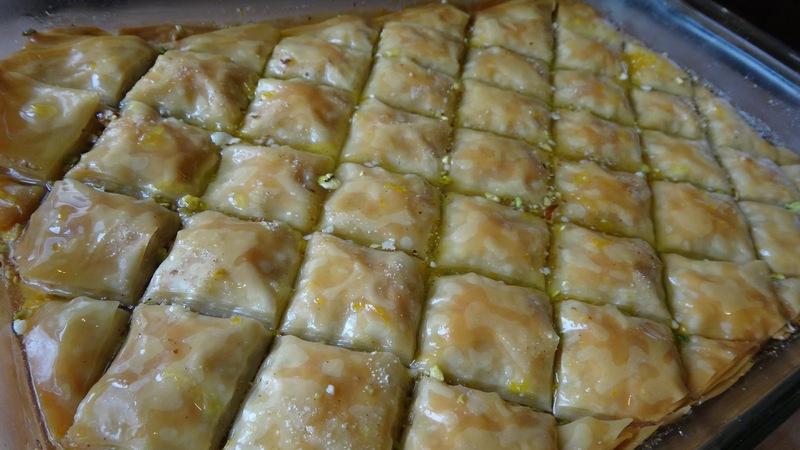 *glass Pyrex dish wide enough to fit a sheet of phyllo width 3 qt size or a 9 x13 inch baking pan. 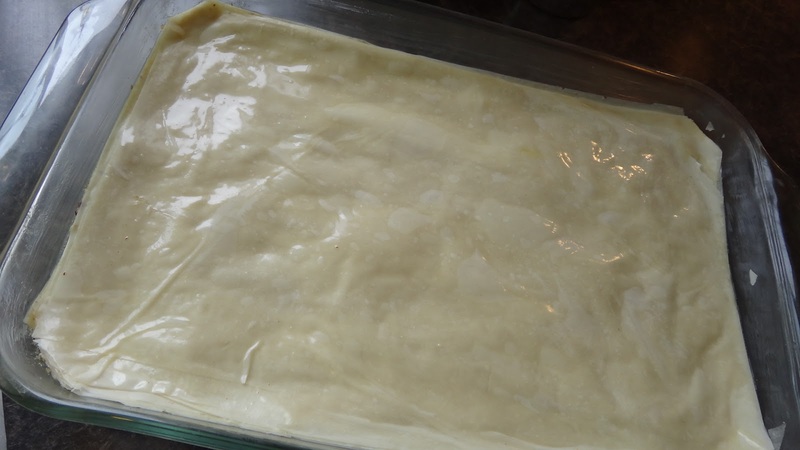 Thaw the phyllo in fridge for a few hours then leave in box on counter 1 hour before working with it. 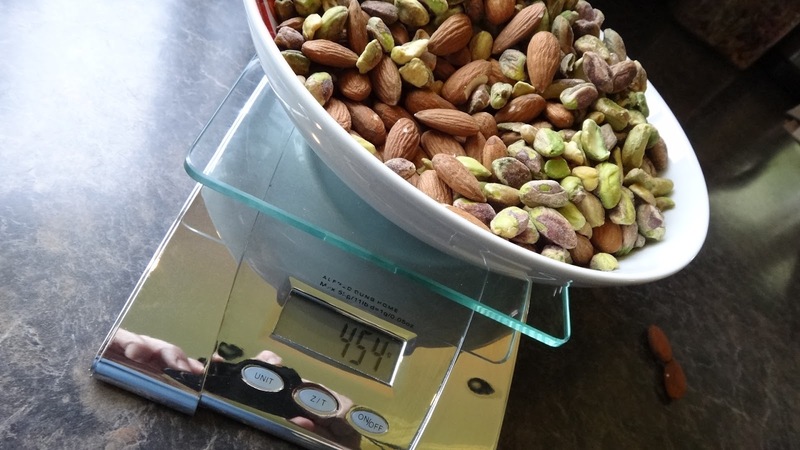 Step 1: weigh your nuts. 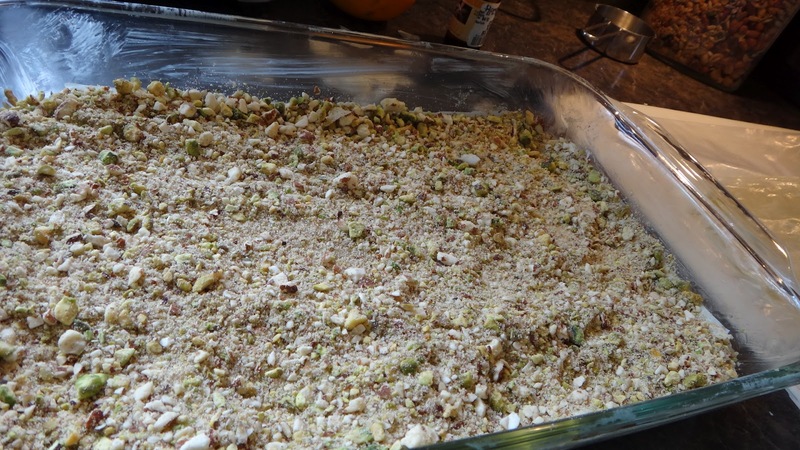 You can use almonds or pistachios or both. I have used equal amounts of both. 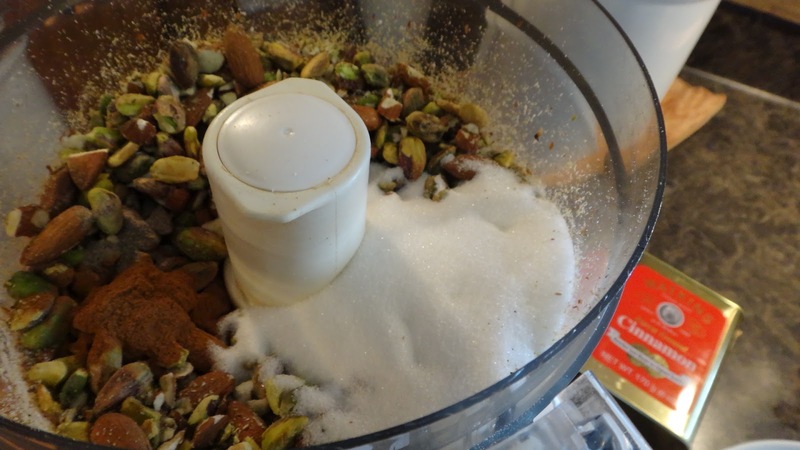 Step 2: add your nuts, sugar, cinnamon and cardamon to the food processor. Pulse 10 seconds or until you get mix with some pieces no larger than small peas. Step 3: melt 1 stick (1/2 cup) butter and add 1/4 cup olive oil to top off. I do this in a glass measuring cup in the microwave for 30 seconds. I like to add a bit of olive oil instead of just using all of it butter. You may not use all of the butter when brushing sheets. Step 4: I use a Pyrex dish rather than a metal dish because I find it easier to cut the squares in the pan. I never worry about the pan with glass. I wish my pan had straight edges rather than curved but, I would still rather use the glass for ease of cutting. I brush a bit of butter on the bottom and sides of the pan. I like this pan because it is the size of one sheets of phyllo folded in half. Step 5: I divide the total number of sheets in the package in 3 piles for each layer. 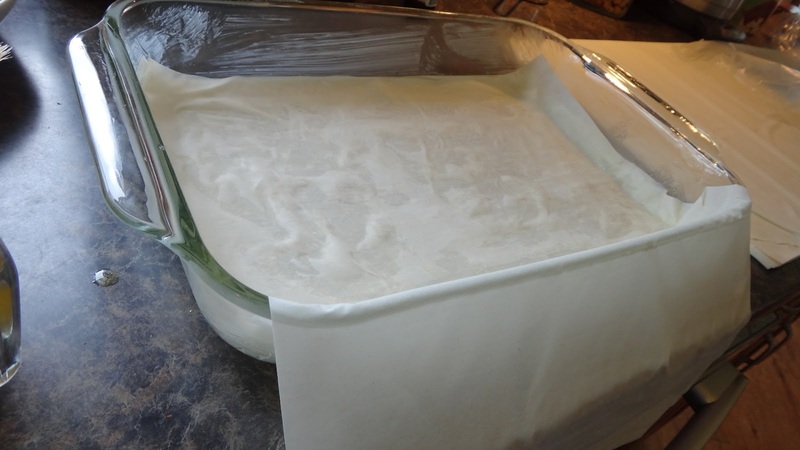 My box of phyllo has 24 sheets so I use 8 sheets per layer. 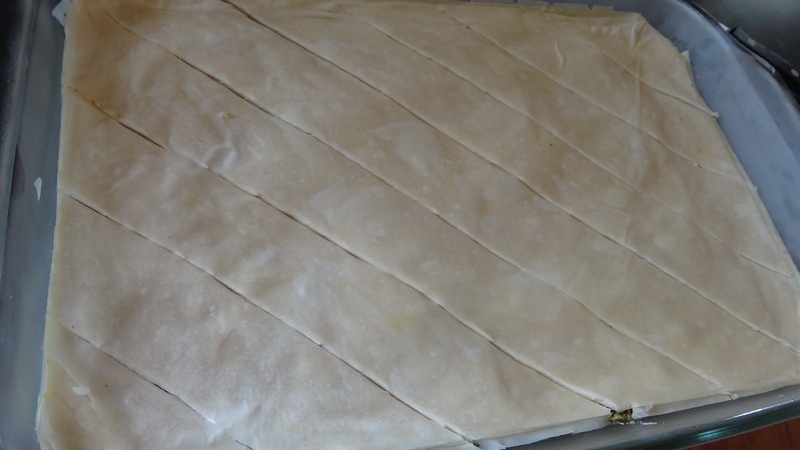 I put down half a sheet and brush a layer of butter on the phyllo (do not soak the sheet) then I fold over the balance of the first sheet and brush that with butter. I keep doing half a sheet at a time buttering each half until I use 8 sheets. I also alternate which side the fold goes on so that it is even. 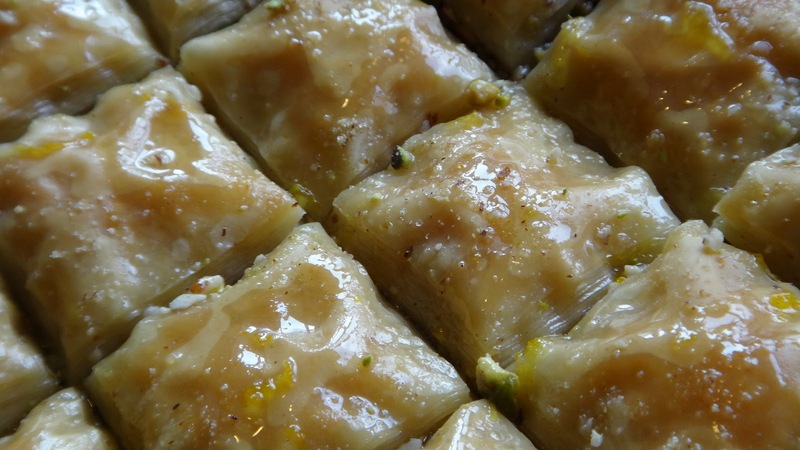 The folds on both sides make the baklava balanced. Step 6: add half the nut, sugar mixture. Spread evenly. Step 7: add 8 more sheets with butter between each half like you did in Step 5. Step 9: add final 8 sheets with butter between each half as you did in Step 5. 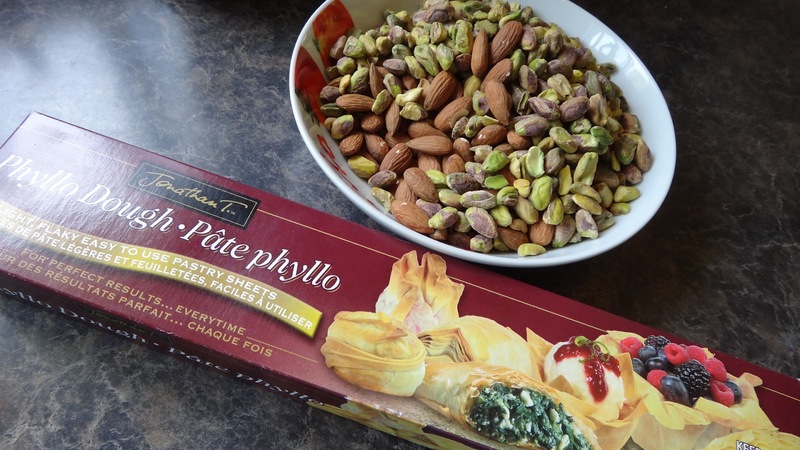 Once you are finished you will have 3 layers of phyllo and 2 layers of nuts. Step 10: put pan in freezer for 30 minutes to make it easier to cut before baking. Step 11: with a sharp knife and trying not to press on the phyllo too much slice diamonds. 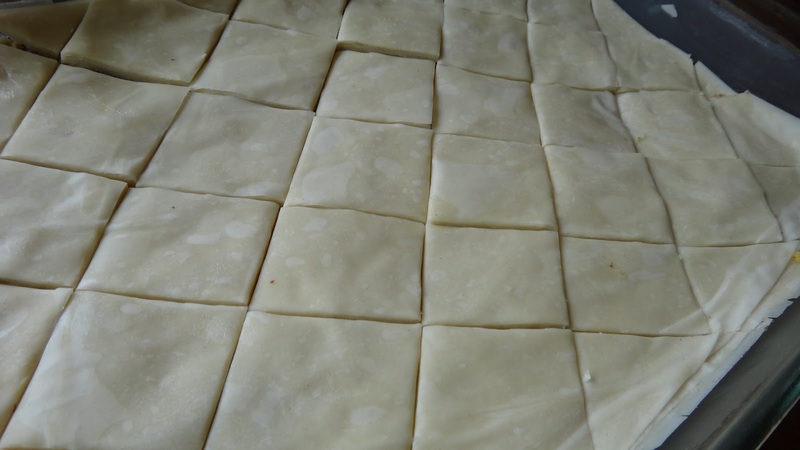 This will make nice clean cuts since you cannot cut the phyllo once it’s baked and cutting it will also allow the syrup to go down to the bottom once its baked. Step 12: bake at 350 degrees F for 35 – 45 minutes. Mine bakes at exactly 35 minutes. 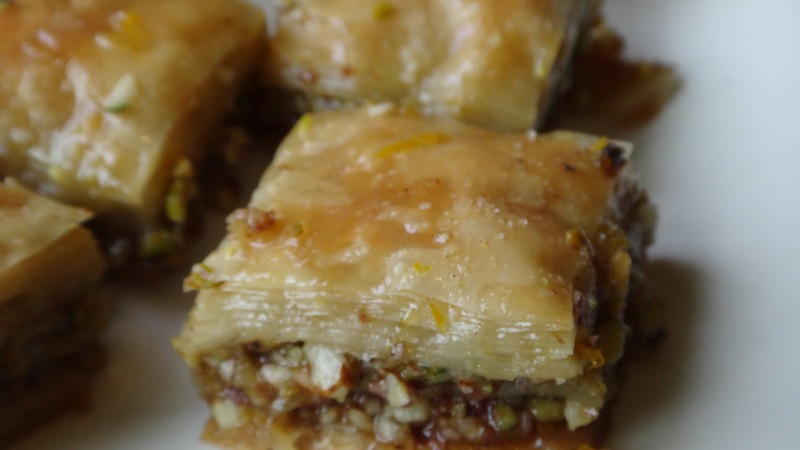 Step 14: once the baklava is nicely browned remove from oven and carefully and slowly pour the syrup so that each slice is covered. 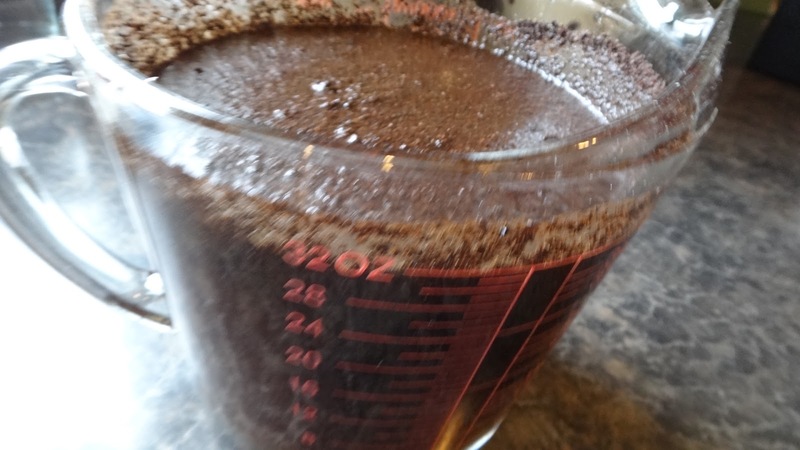 You may think there is too much liquid but it will all get absorbed into the hot baklava. 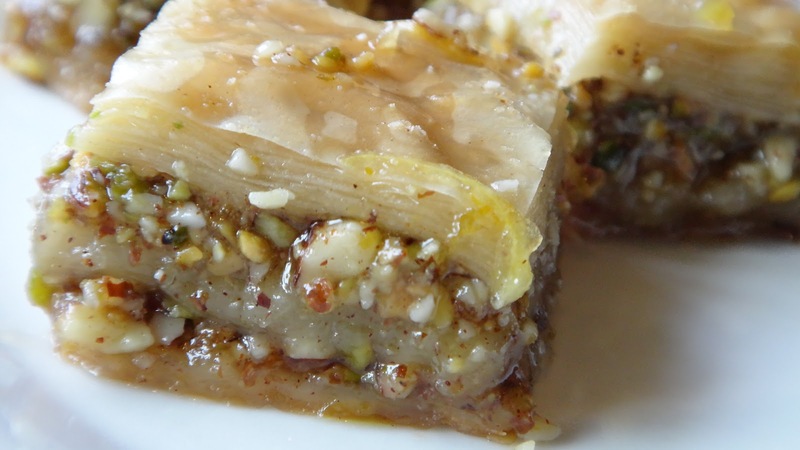 When you are pouring it over the hot baklava it will sizzle and bubble. Let cool. You will then need to carefully re-cut all slices to remove diamonds from pan. 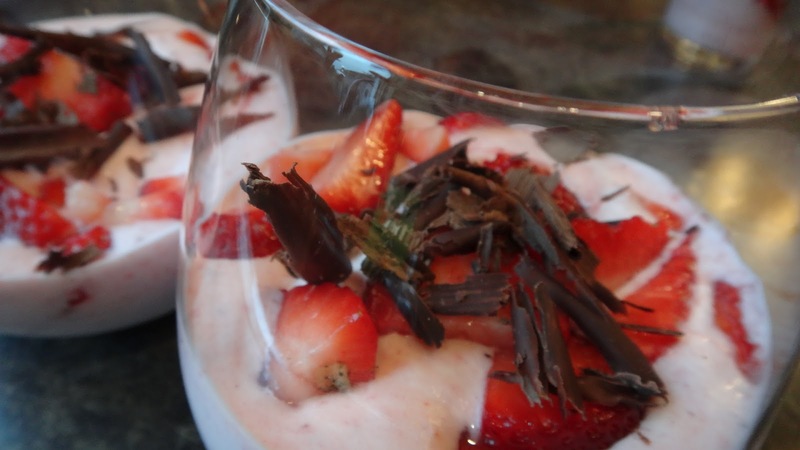 This is a sticky gorgeous, decadent dessert. People will be shocked at how good it is and that you made it from scratch!! I am not kidding you. Try it once!! 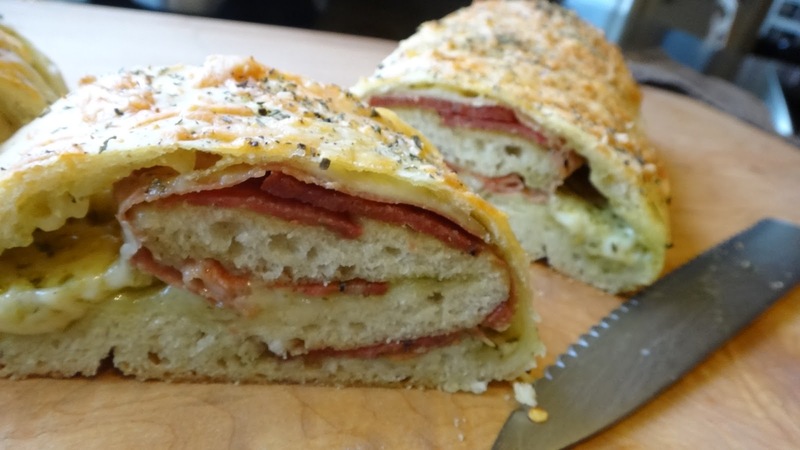 The Stromboli is like a baked stuffed sandwich. 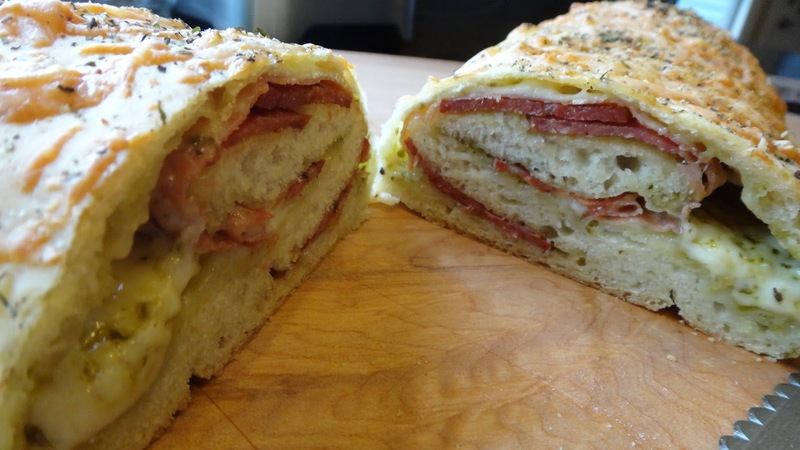 It is similar to a rolled pizza or calzone but, normally there is no sauce or you can add a small amount of sauce. 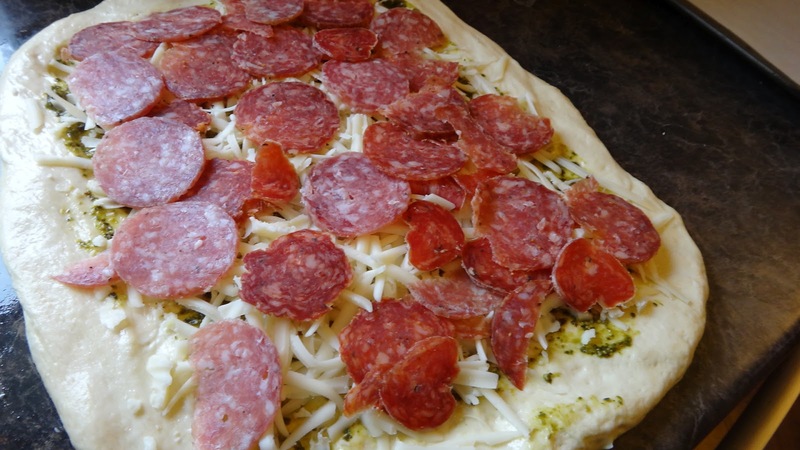 I have made mine with a layer or homemade pesto, cheese and various salamis. 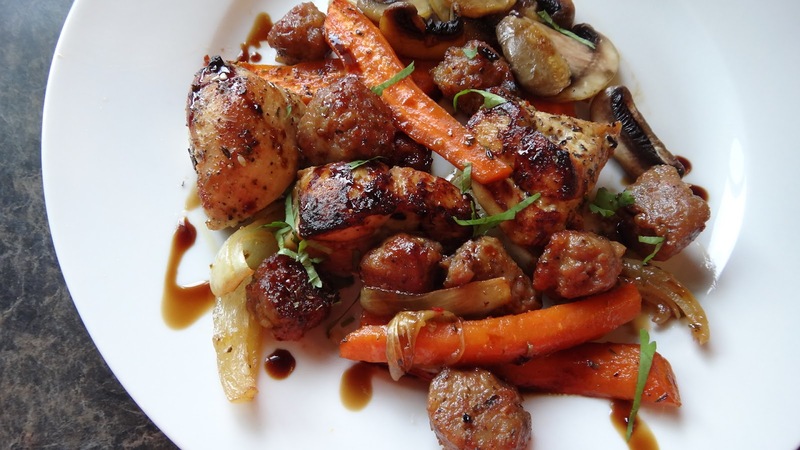 It’s a great way to feed a crowd, perfect food for watching my favourite Euro Soccer Game! 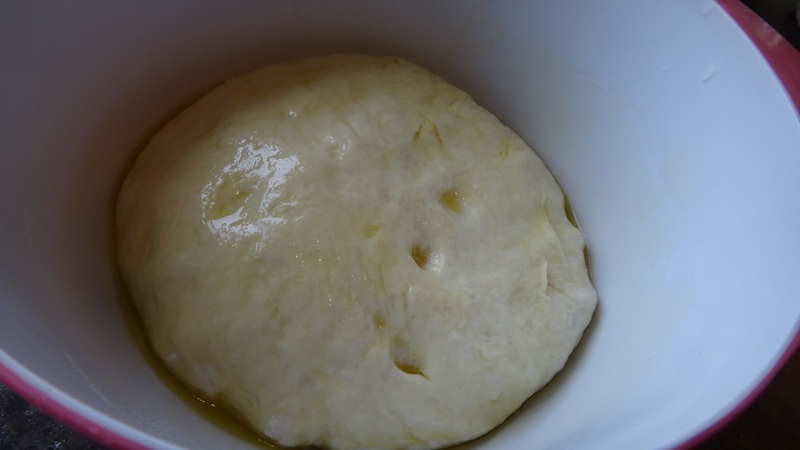 Step 1: in a large bowl add warm water, yeast and sugar. Let proof 5 minutes to see if yeast is good. Add olive oil and flour and finally salt. 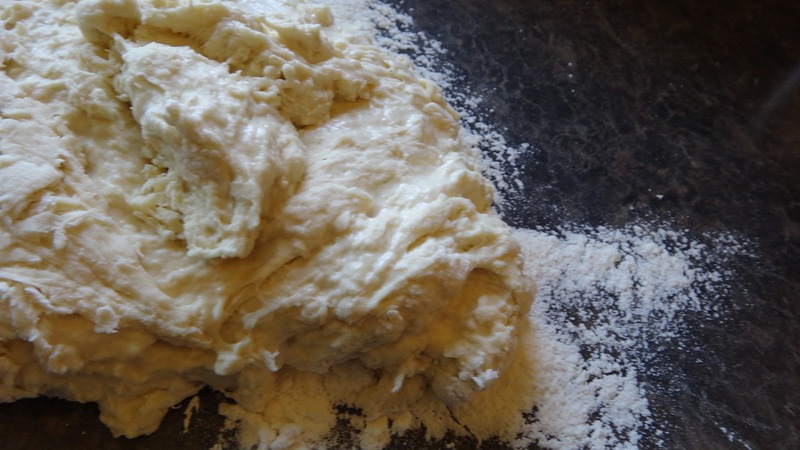 Mix until too hard to continue in bowl and knead dough on counter adding more flour until it is no longer sticky to the touch. 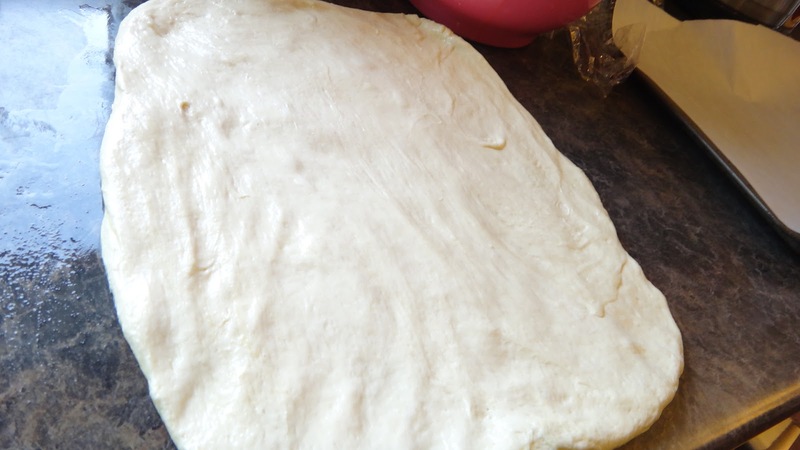 I use a (00) pizza flour which I buy in an Italian speciality store but you can use all purpose. 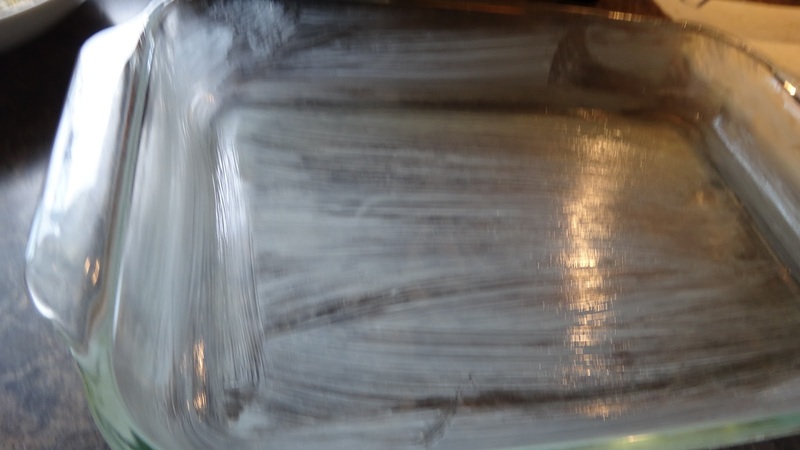 Step 2: once dough is completed add to an oiled bowl and cover with plastic wrap for at least 2 hours. If you want to leave longer put in fridge. 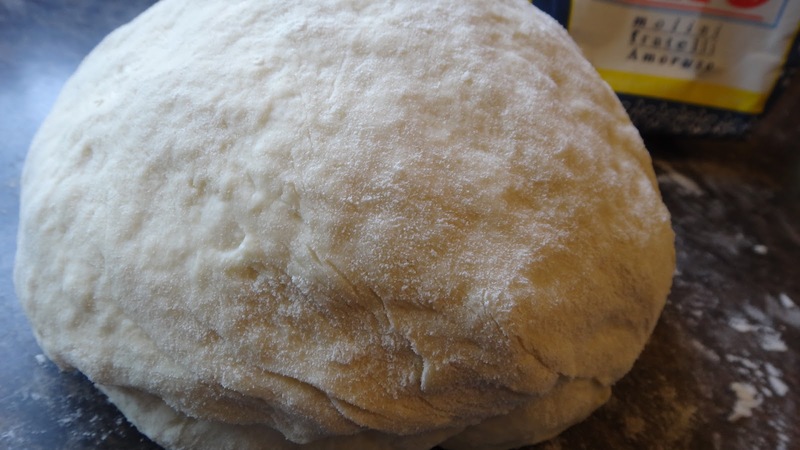 Step 3: heat oven to 375 degrees F and divide dough in two. With your fingers press out a thin square. Add pesto or a bit of tomato sauce or nothing. 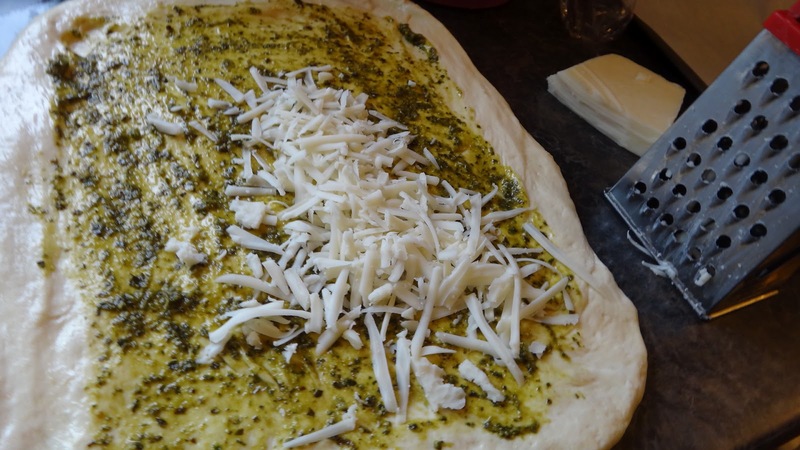 Add a layer of cheese. 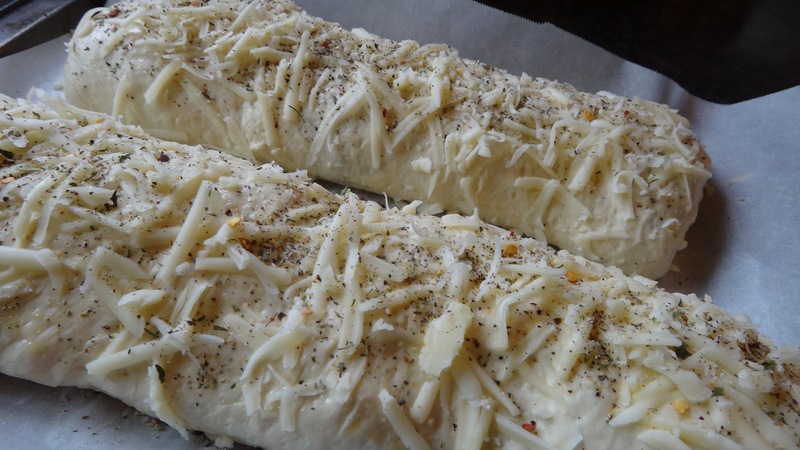 Step 5: roll up and top with Italian Seasonings, some salt and a bit of grated cheese. Step 6: bake 20 minutes, then turn sheet and bake another 20- 25 minutes. Let stand for 10 minutes before cutting. 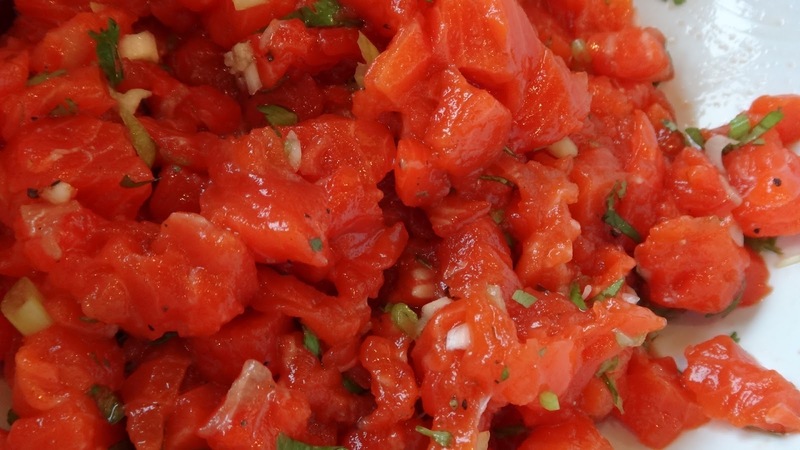 You can serve with a bowl of marinara sauce or just eat it as it is!